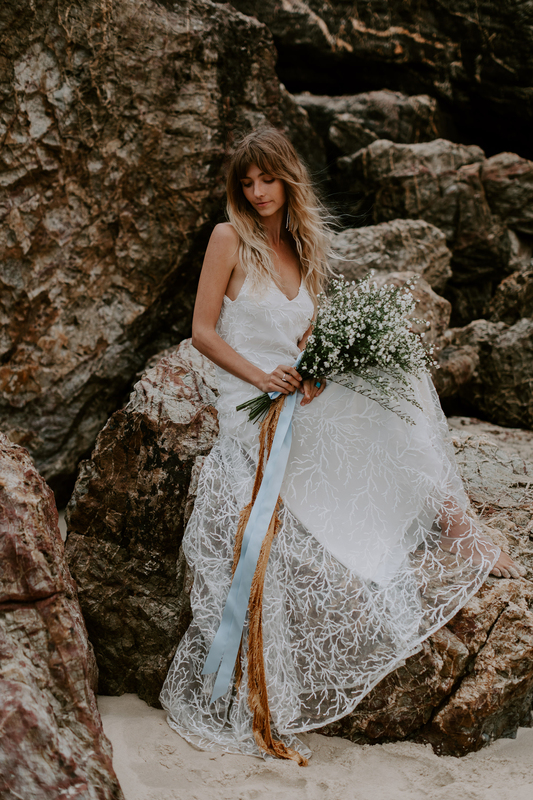 "She has the spirit of the sun, the moods of the moon, the will of the wind..."
A heartfelt thanks to our incredibly talented industry friends who helped bring our vision to life. 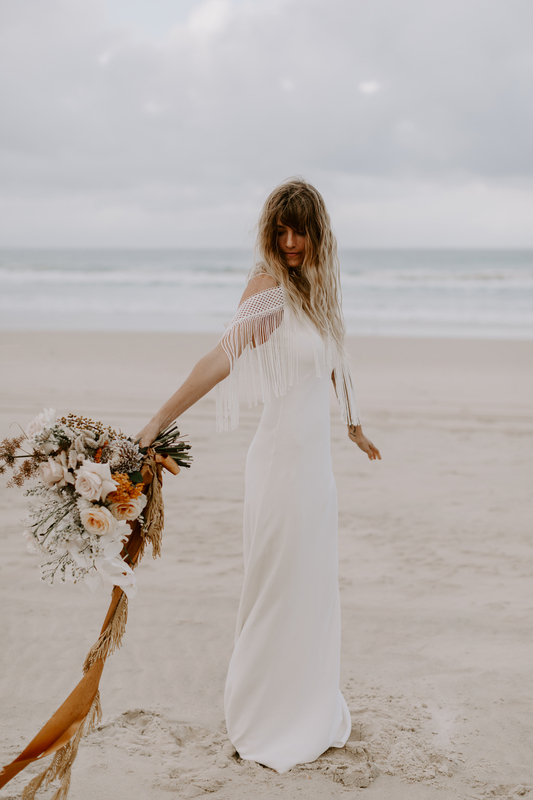 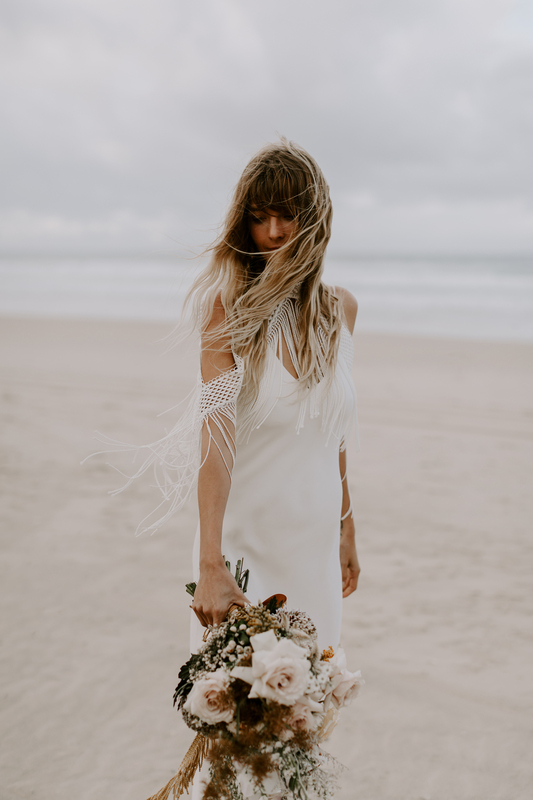 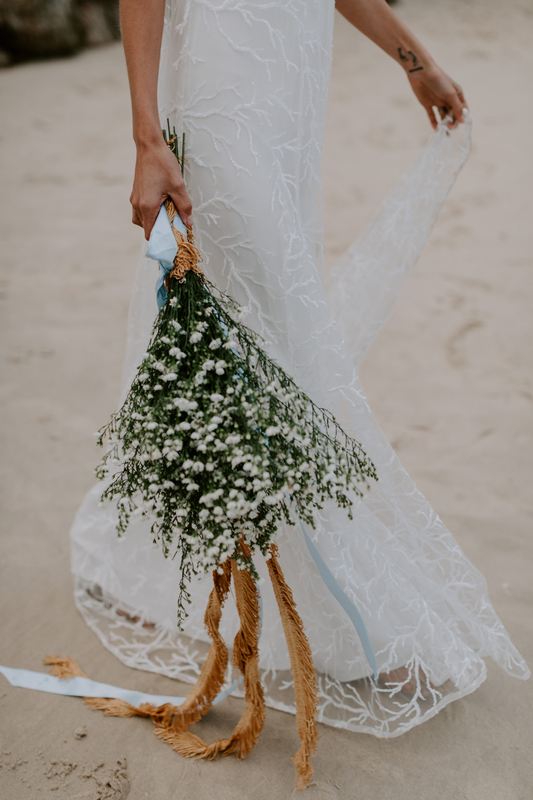 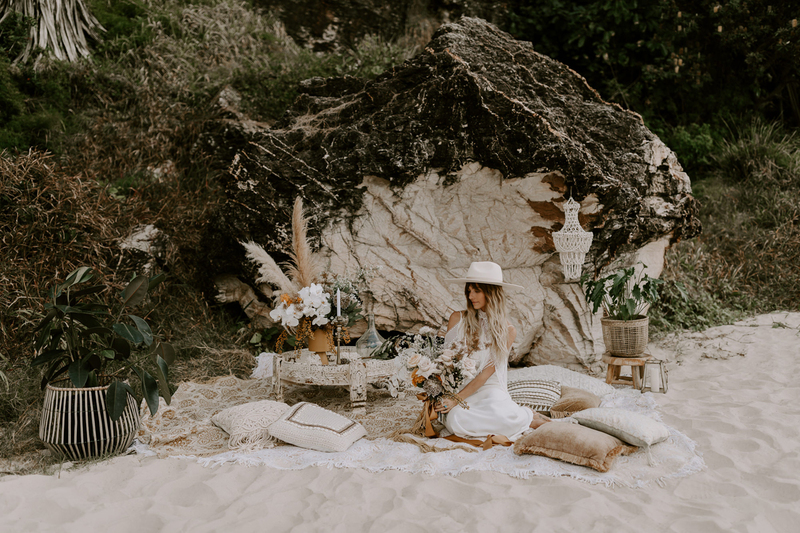 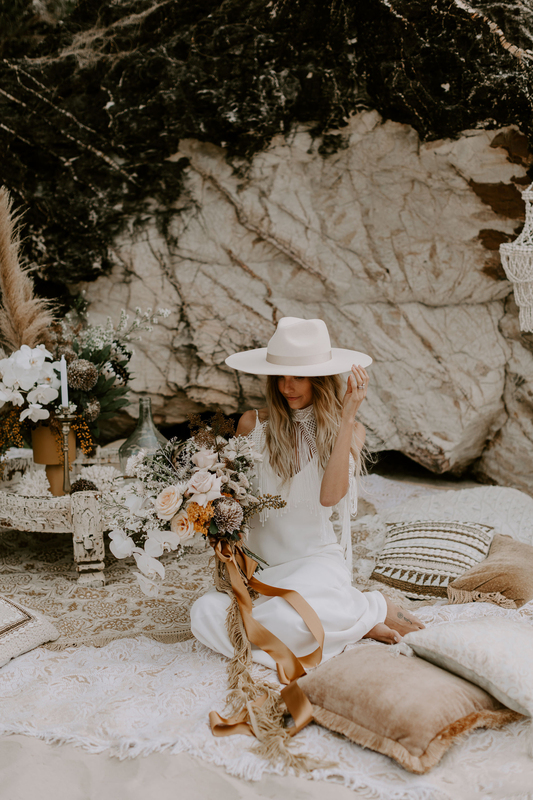 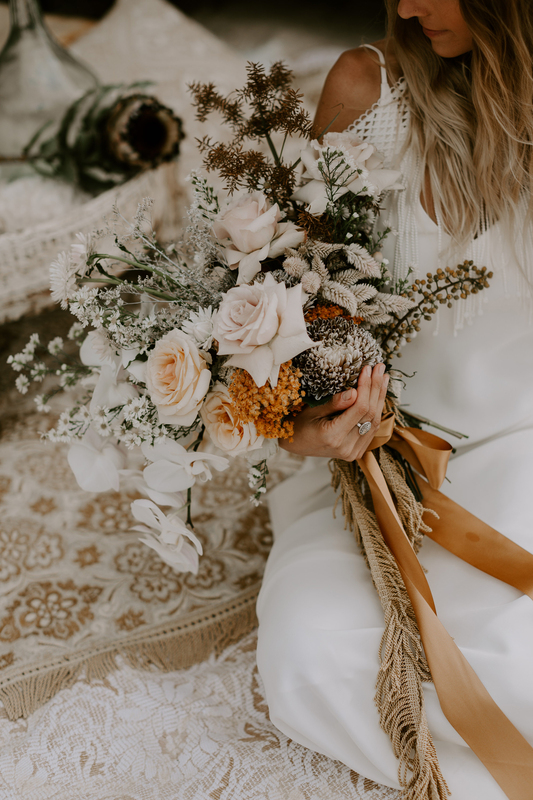 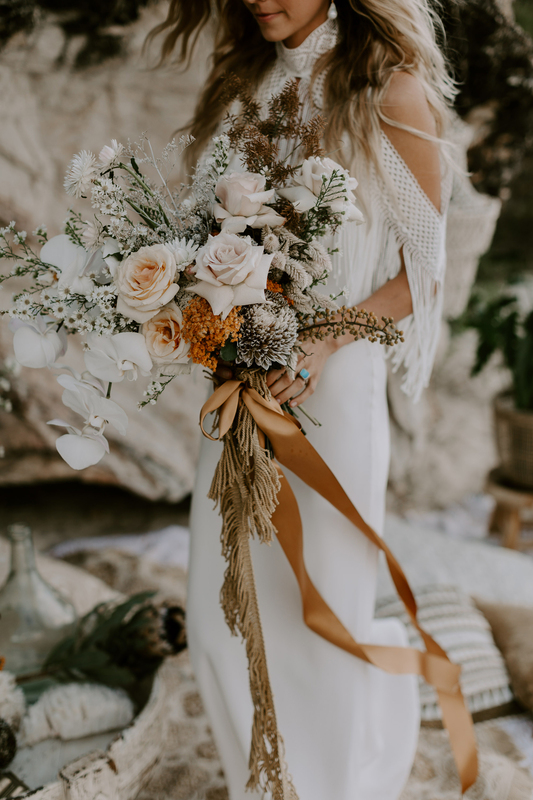 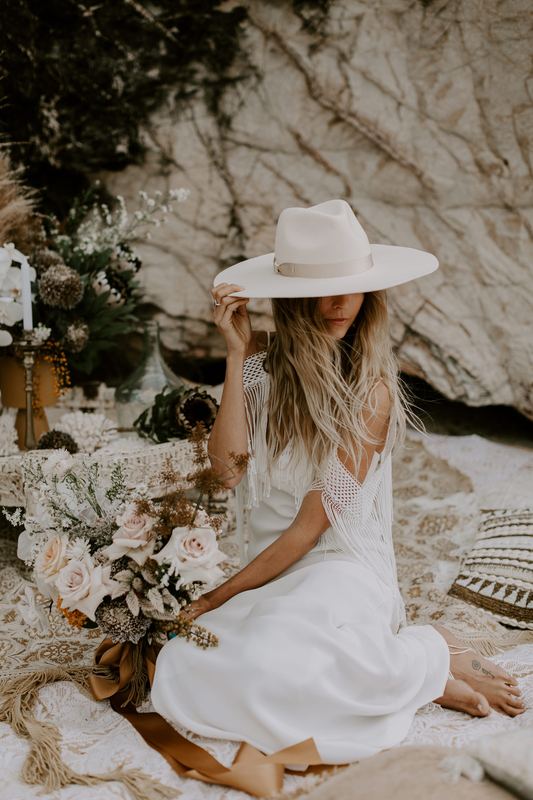 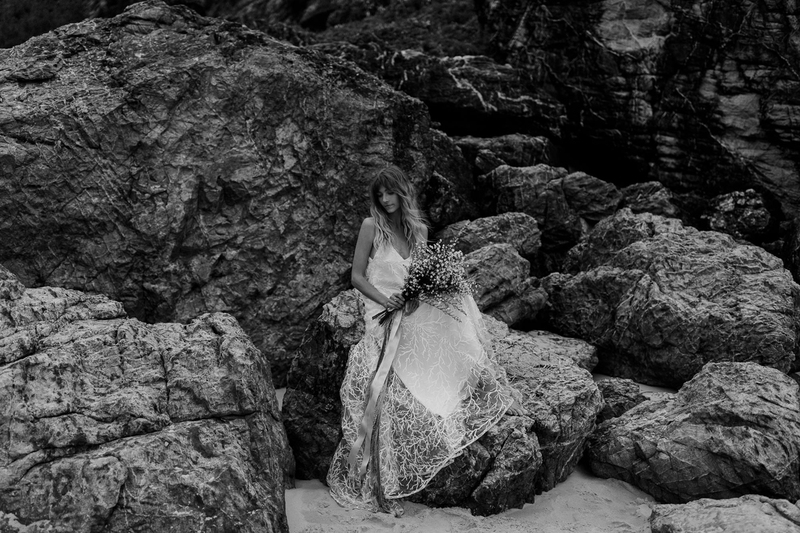 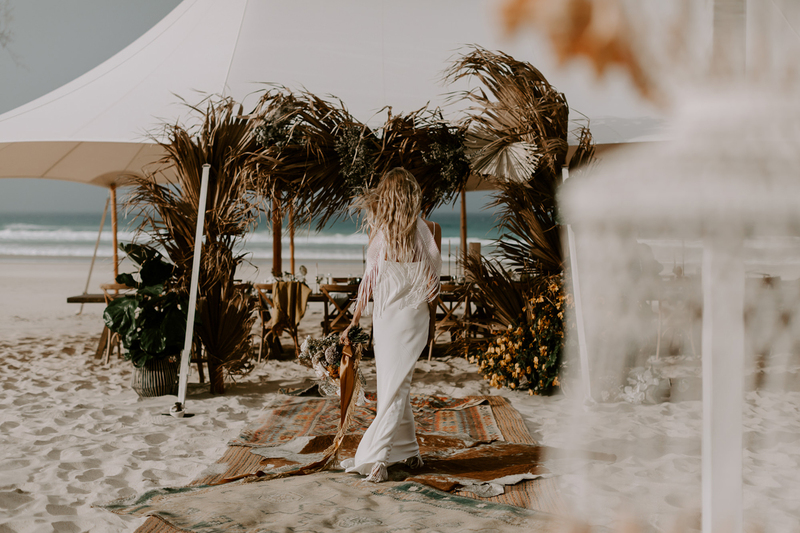 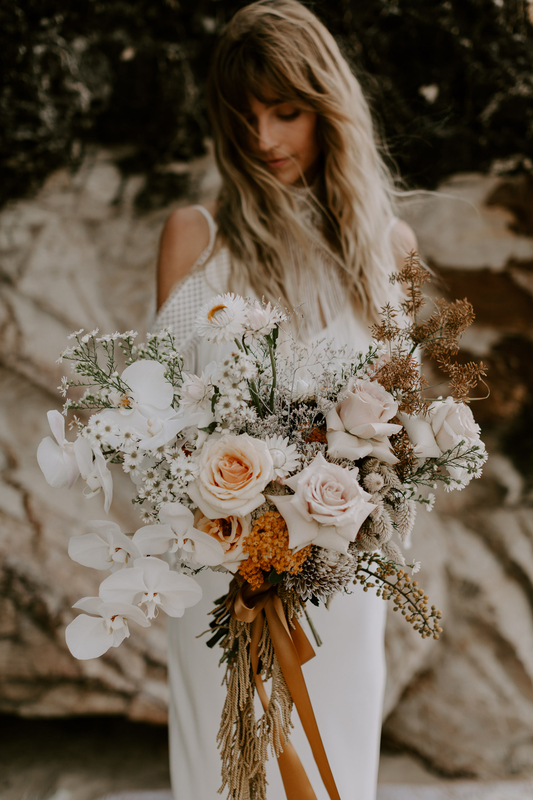 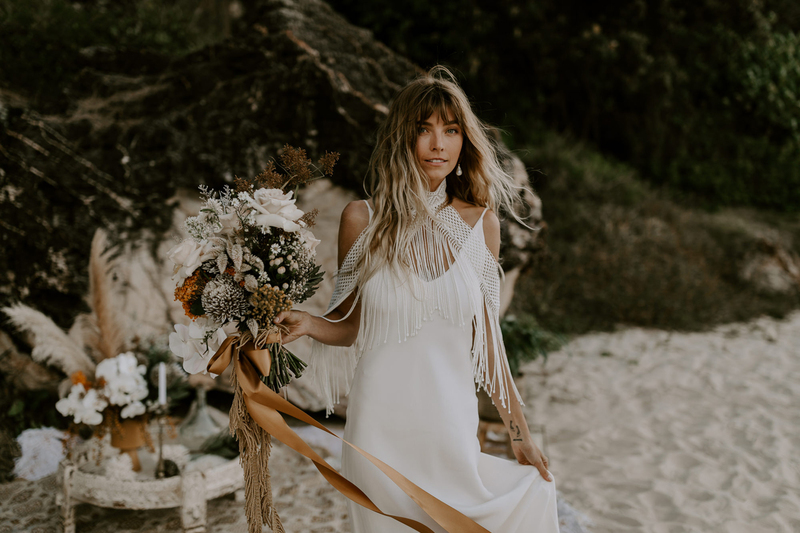 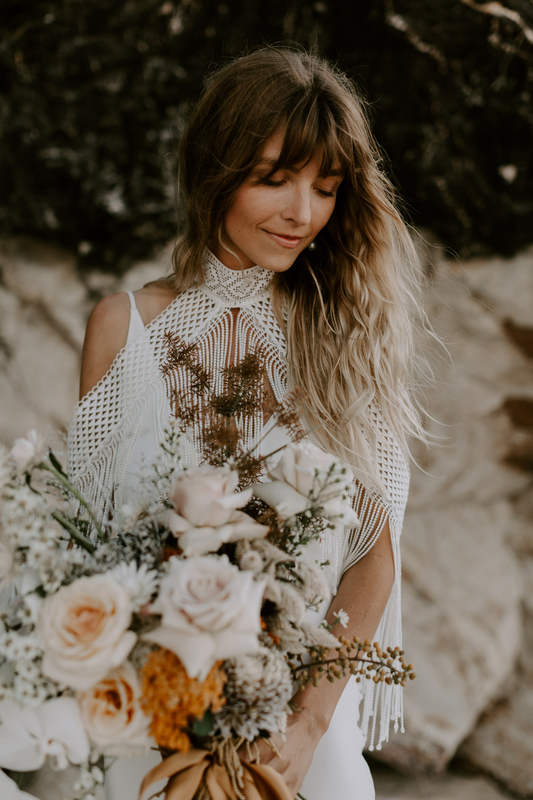 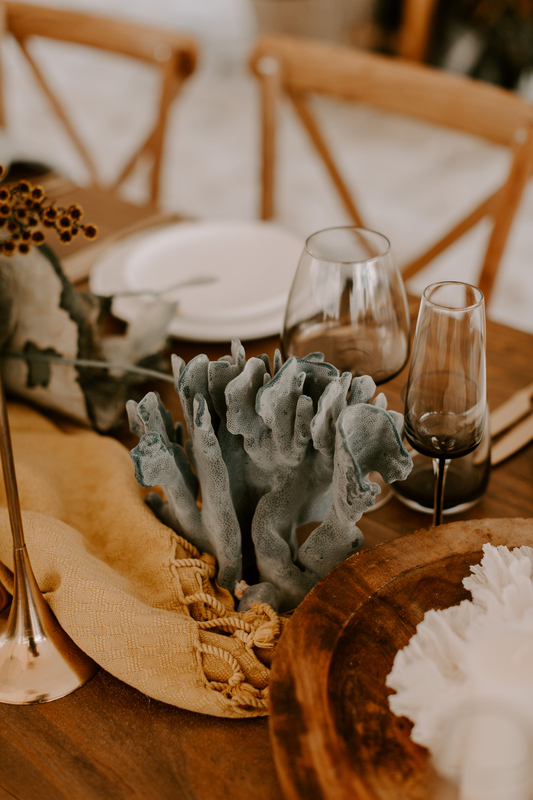 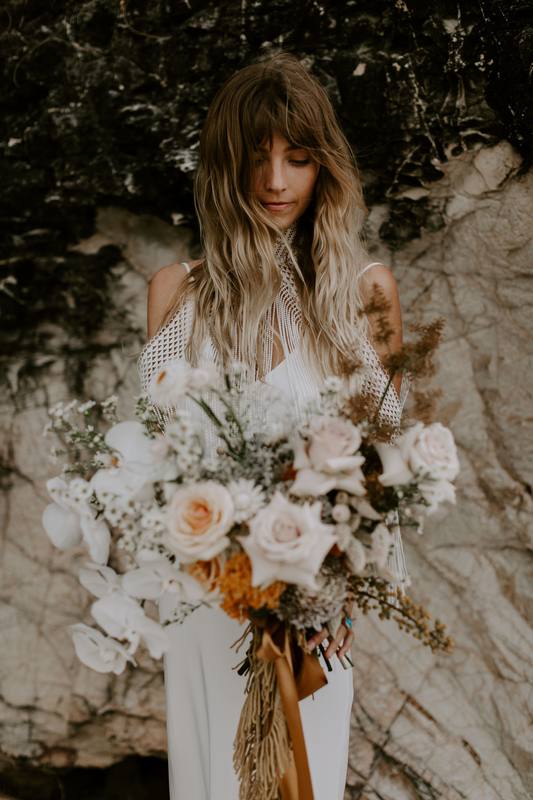 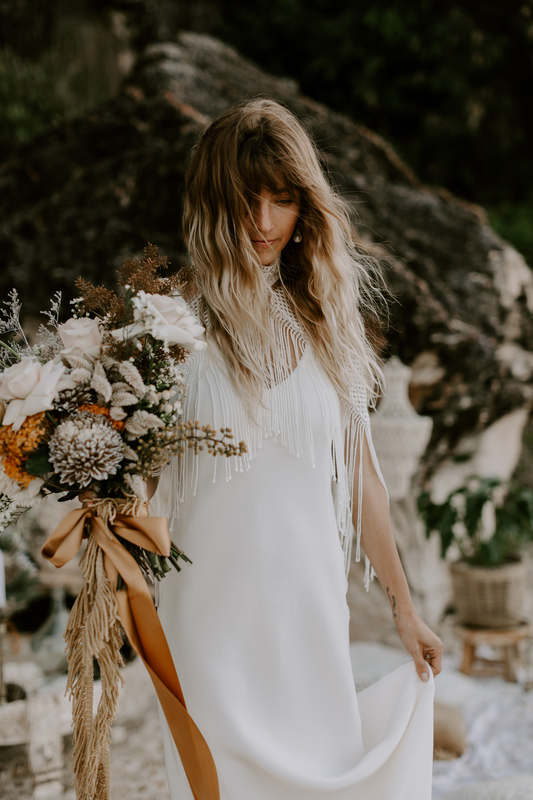 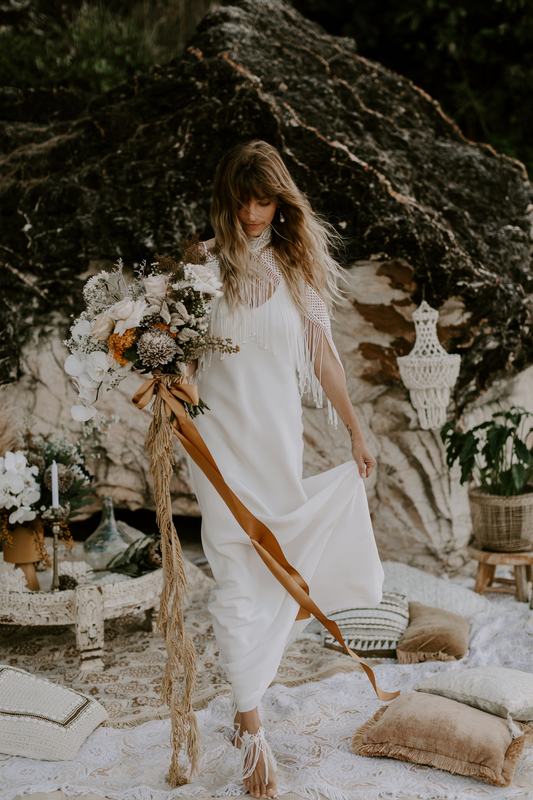 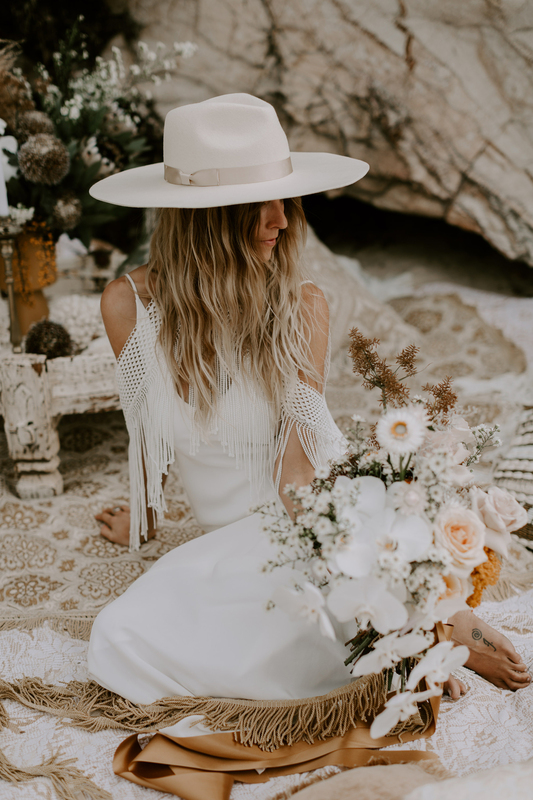 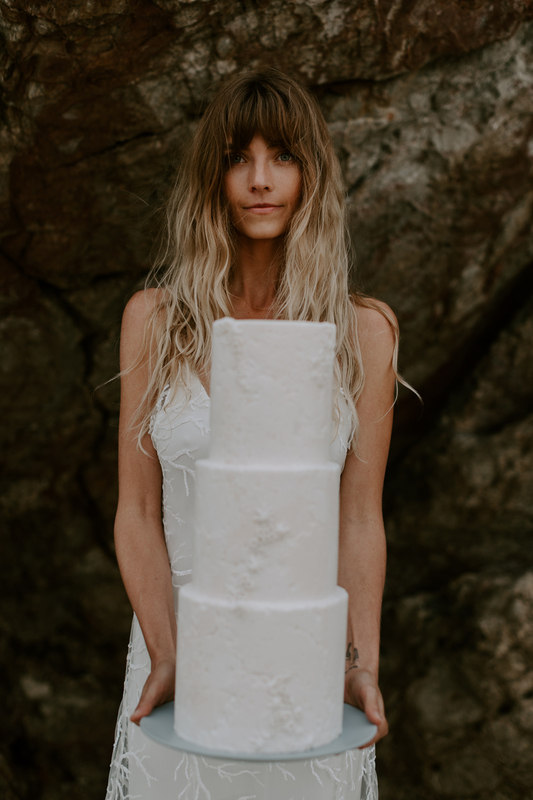 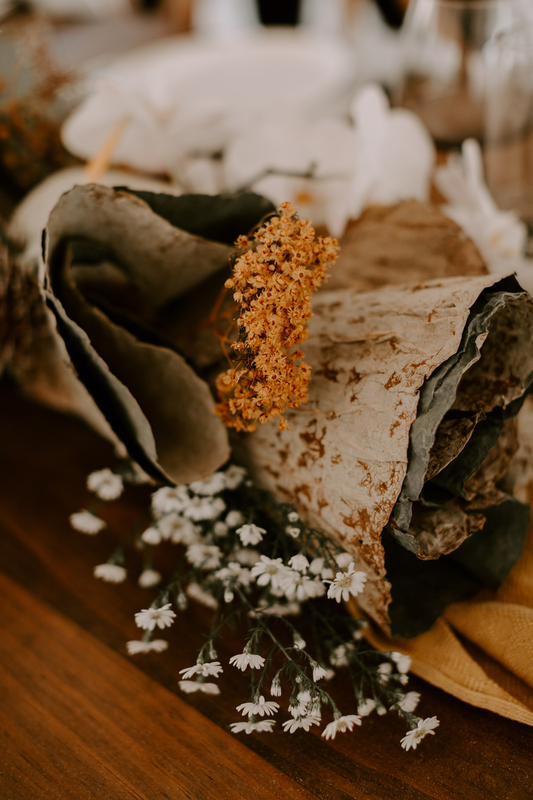 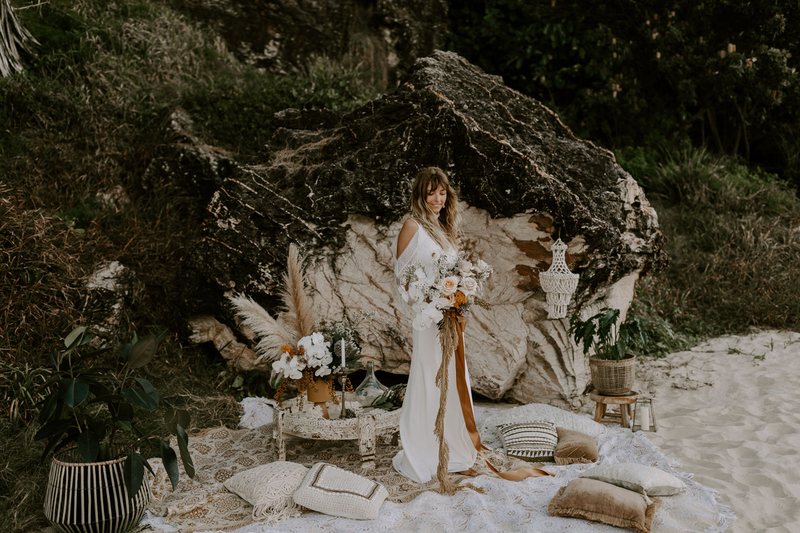 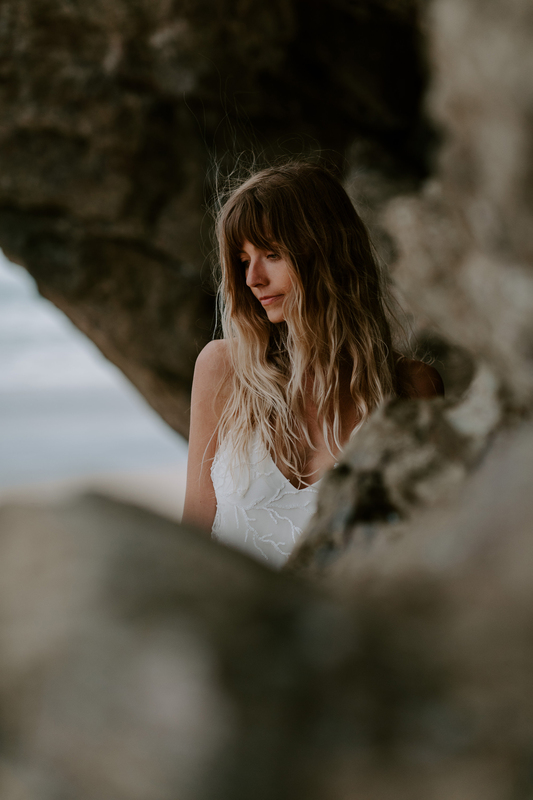 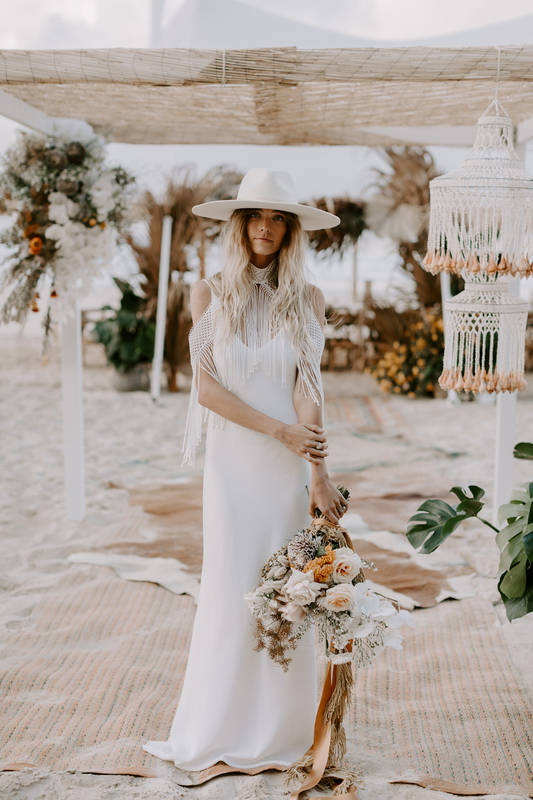 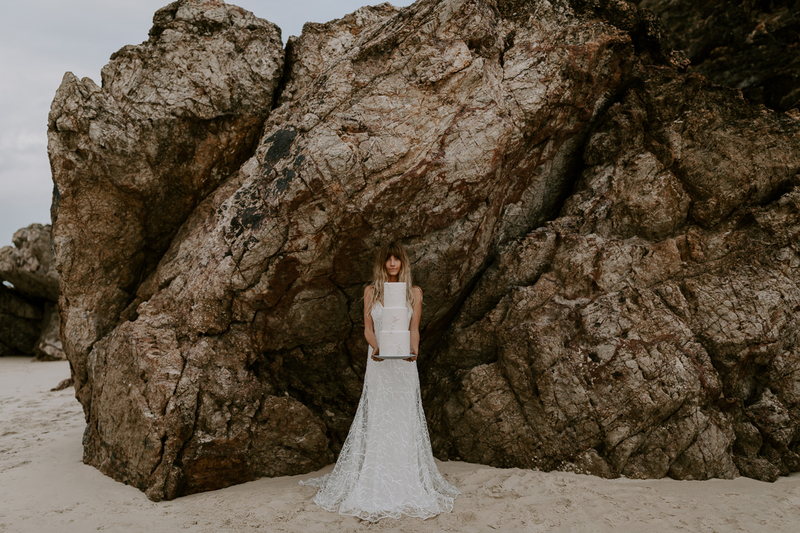 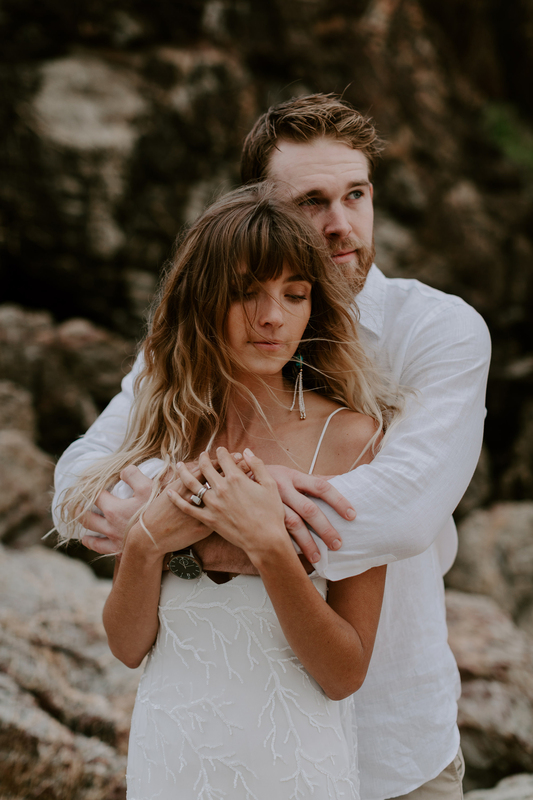 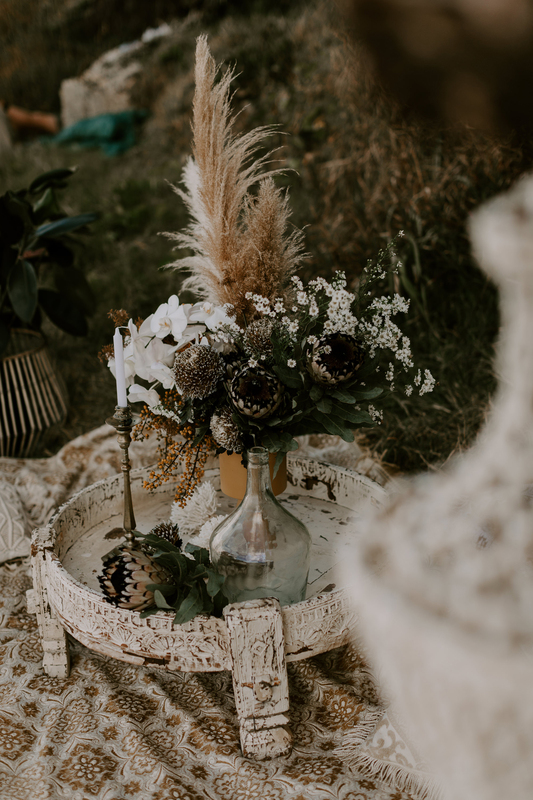 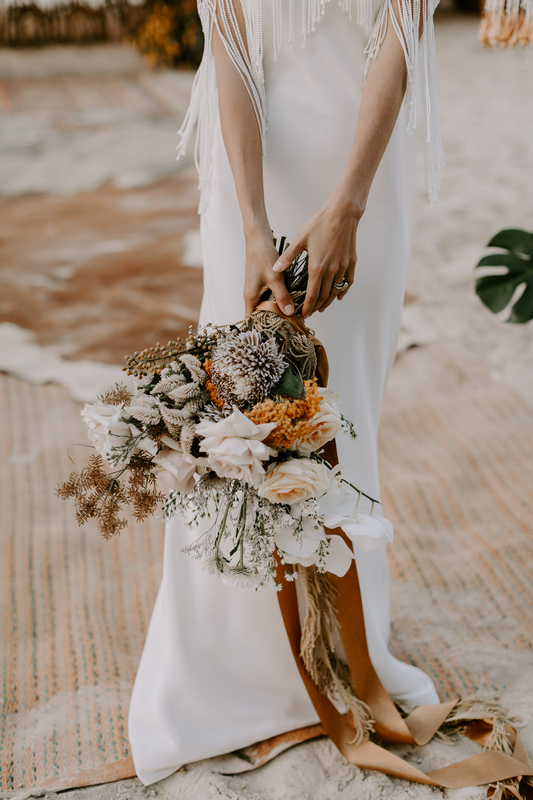 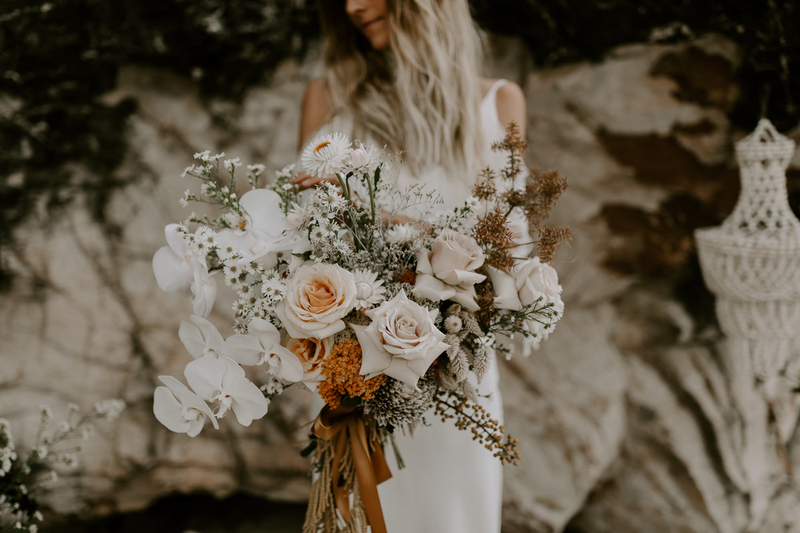 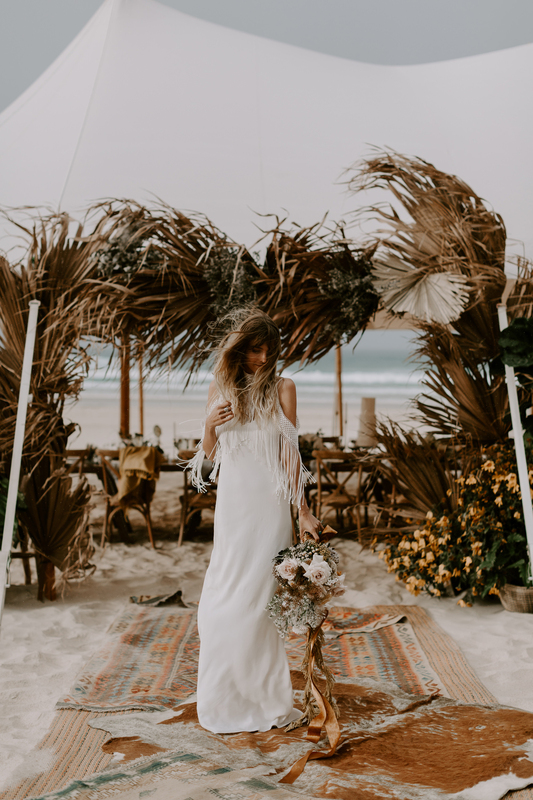 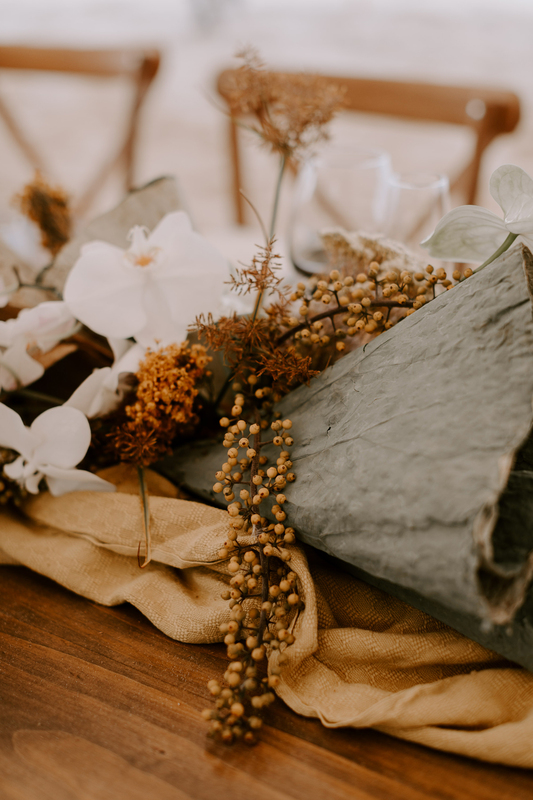 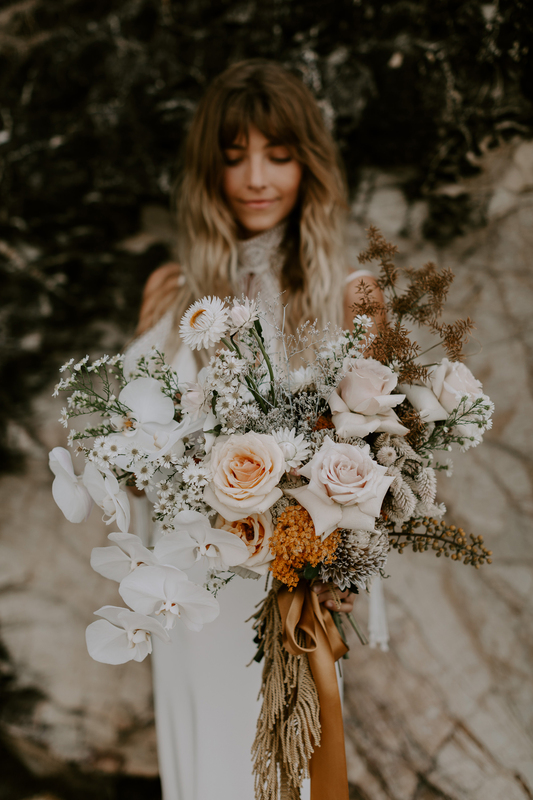 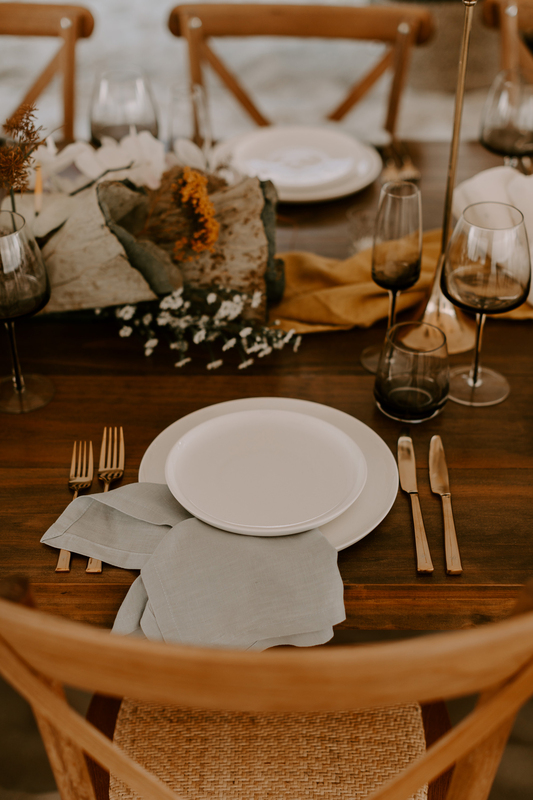 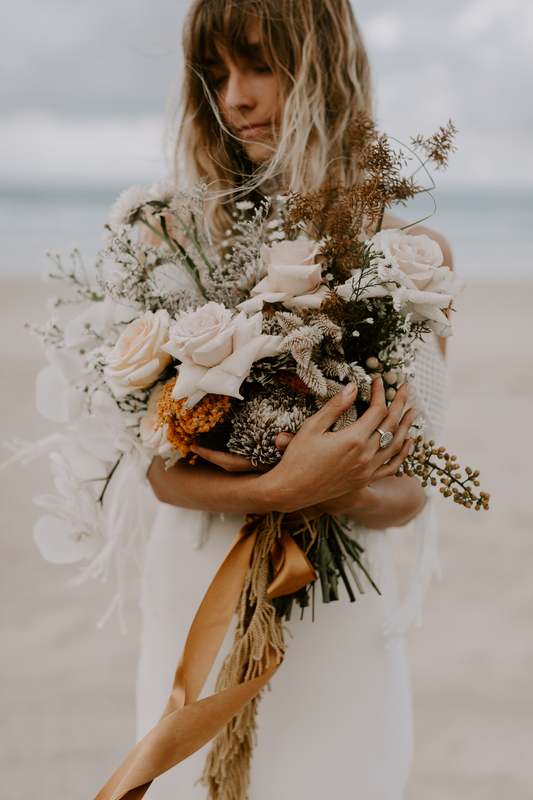 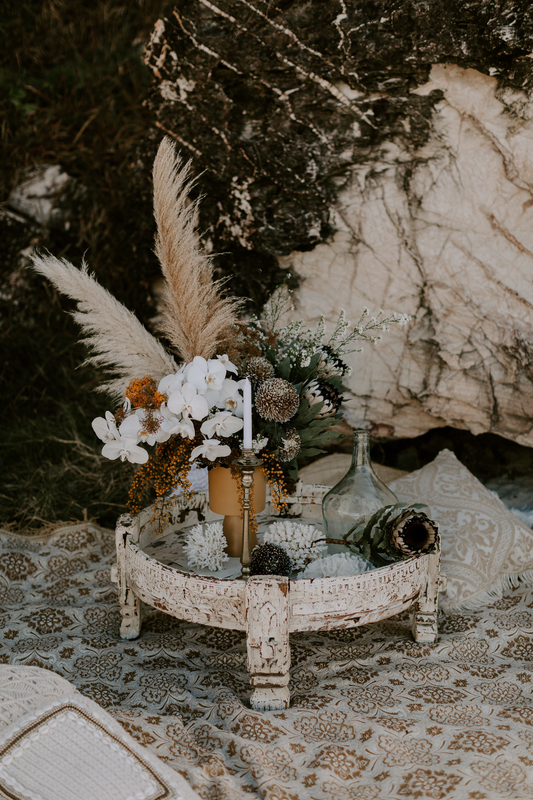 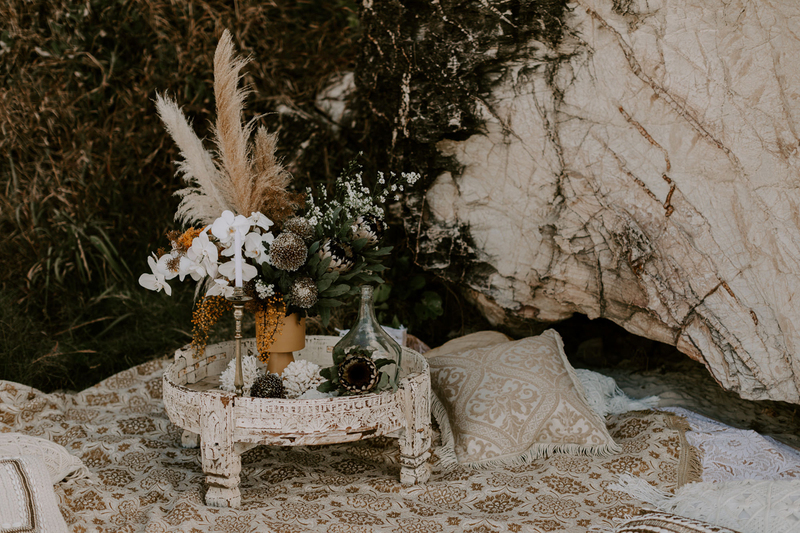 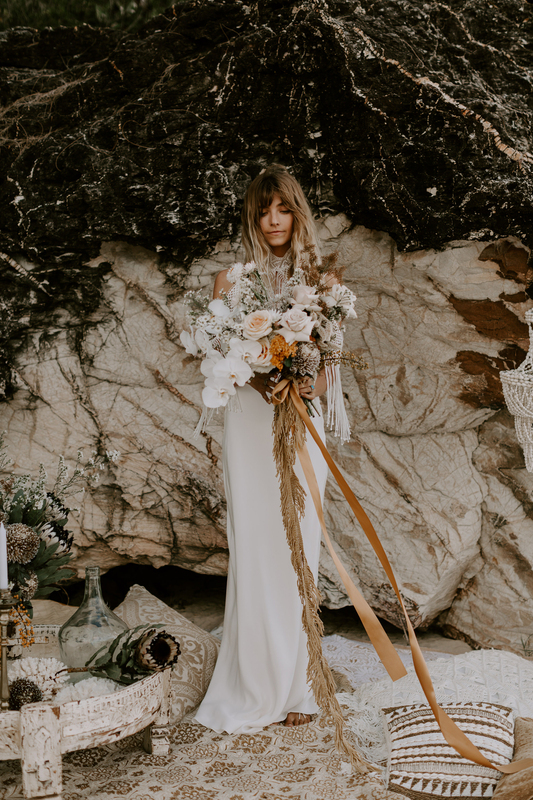 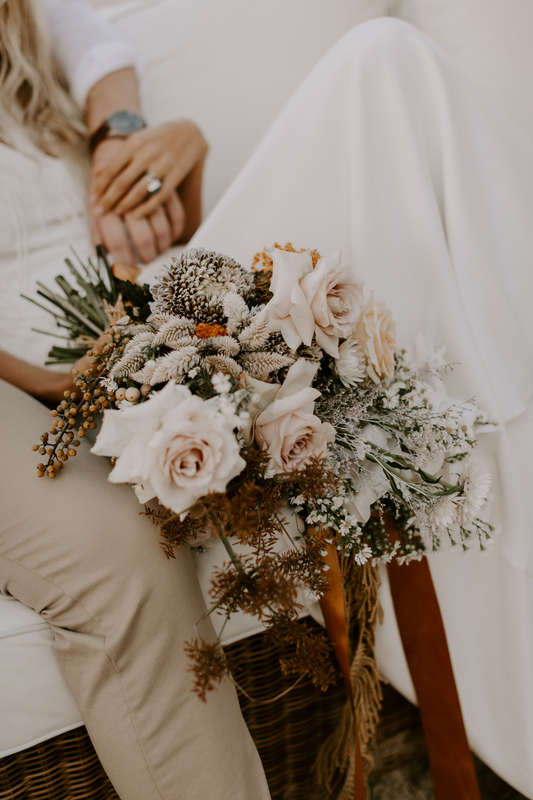 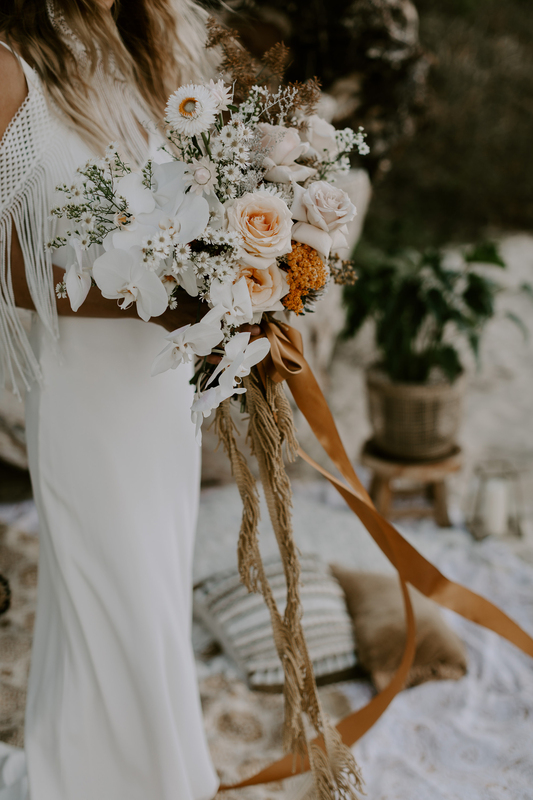 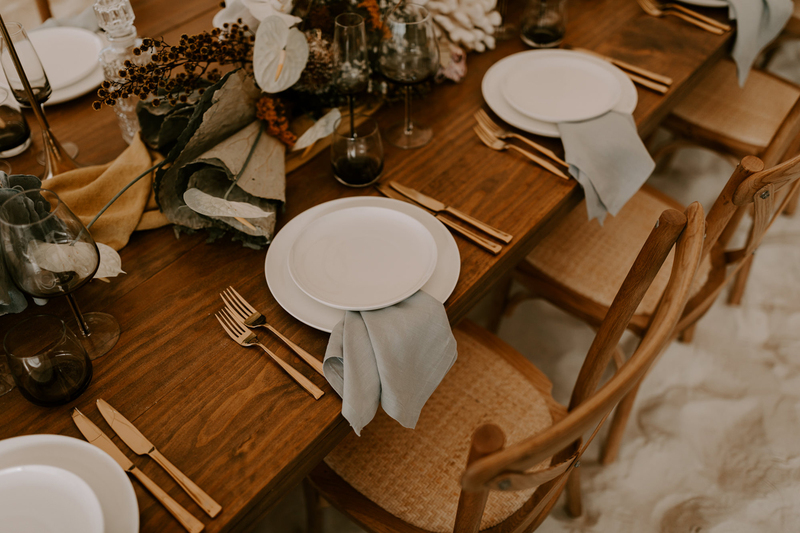 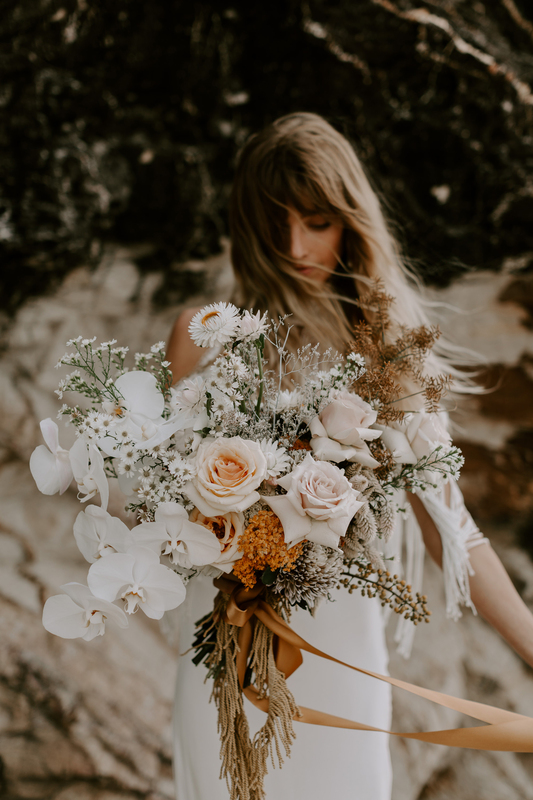 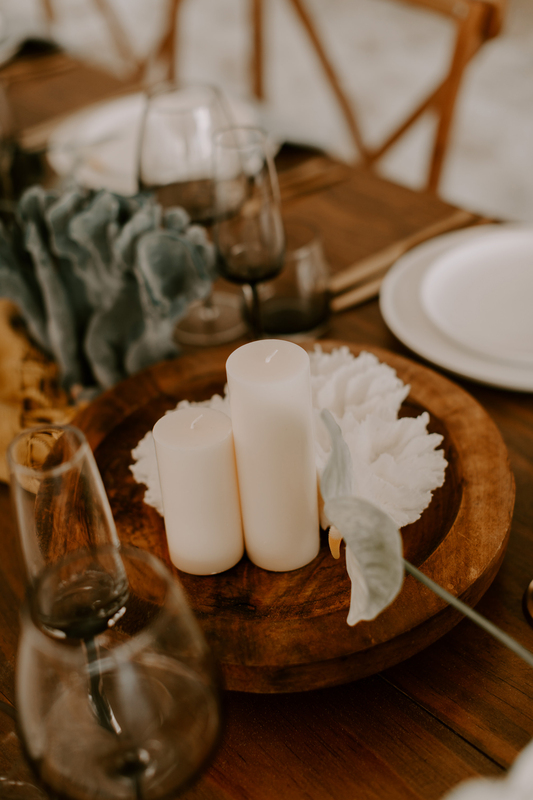 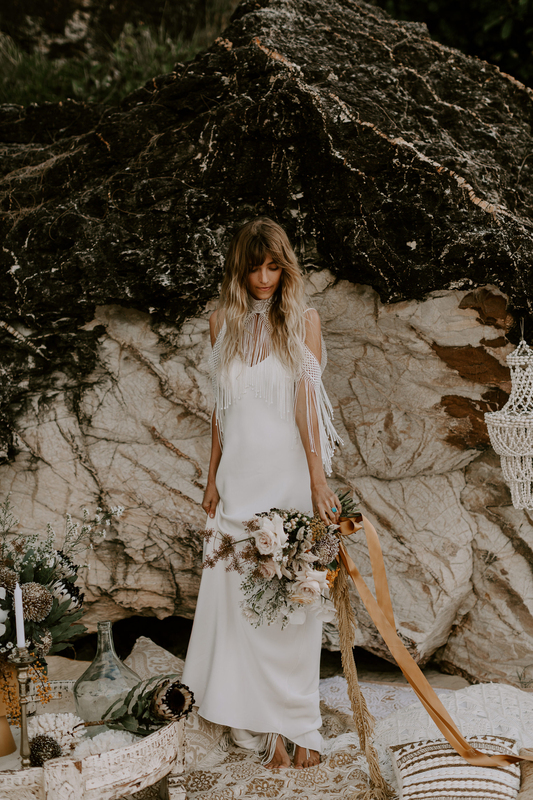 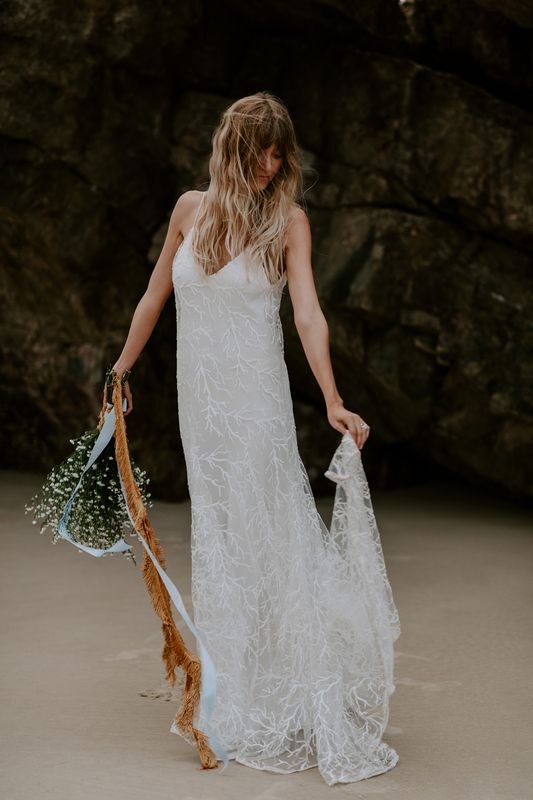 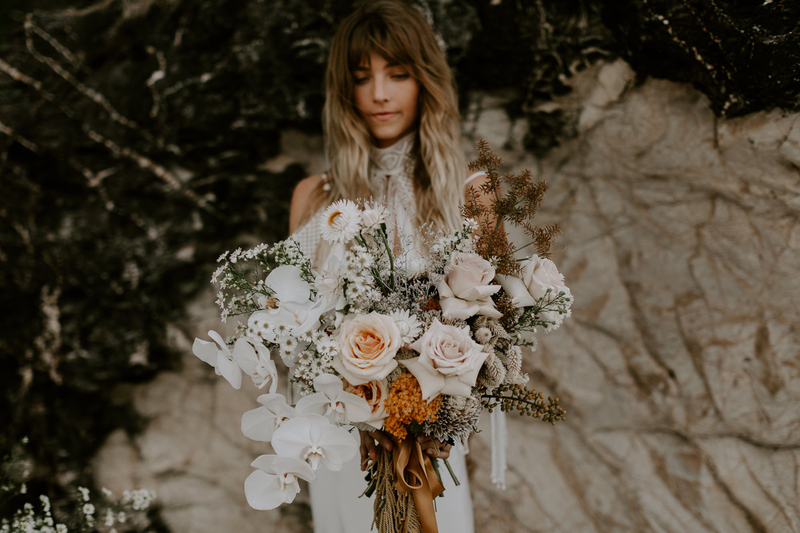 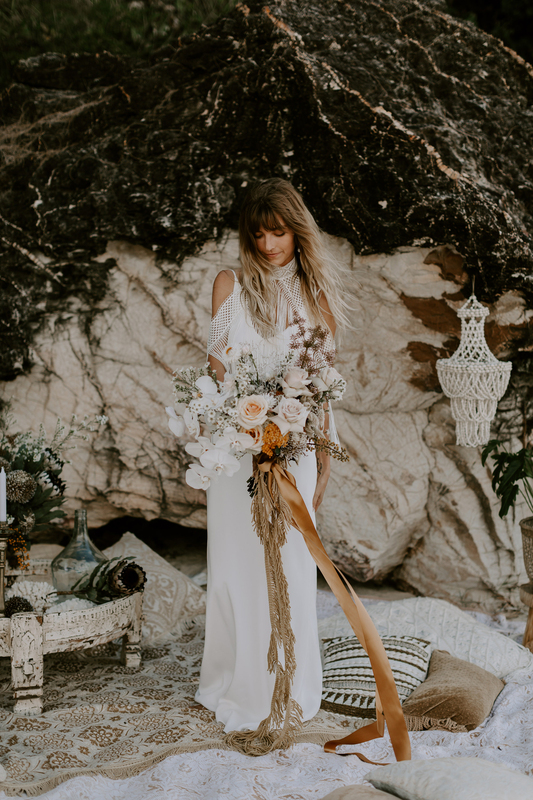 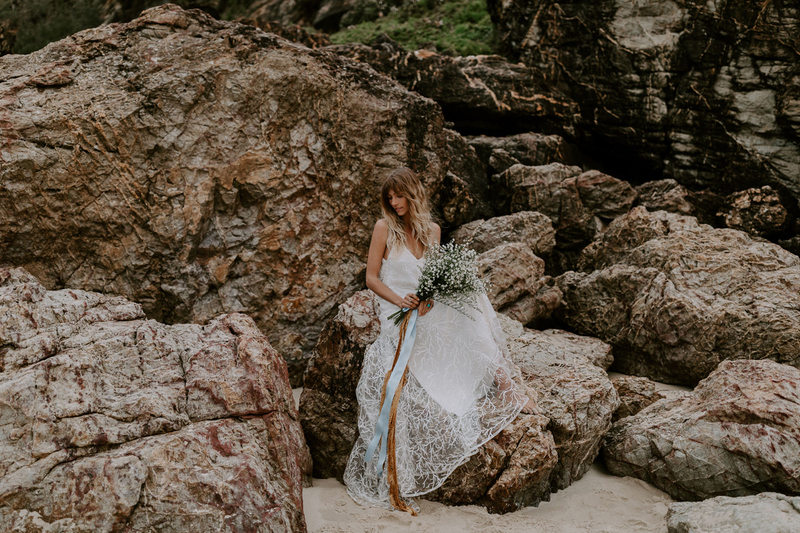 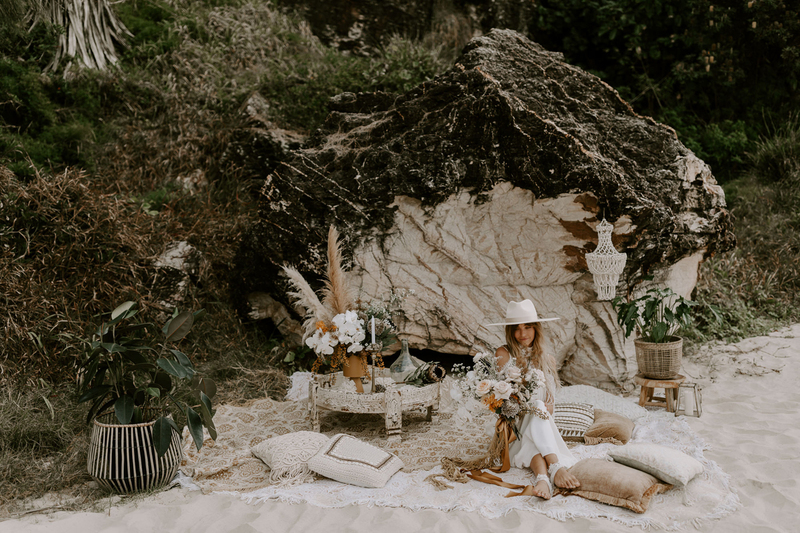 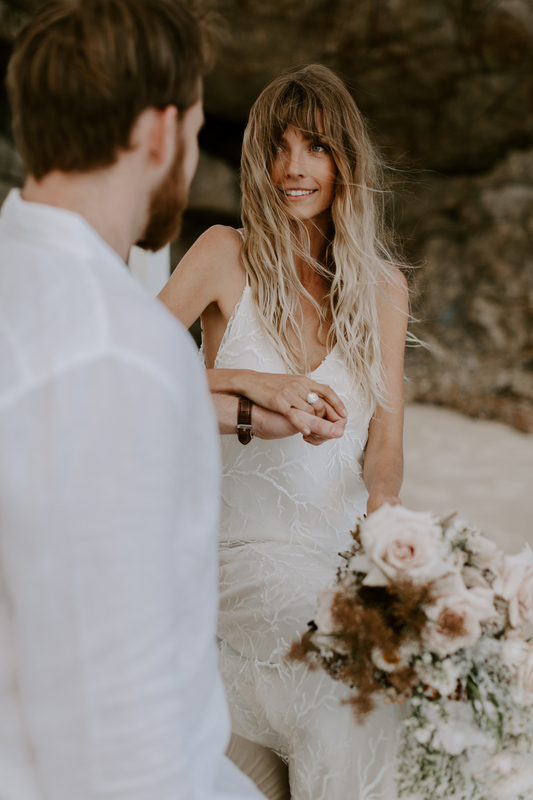 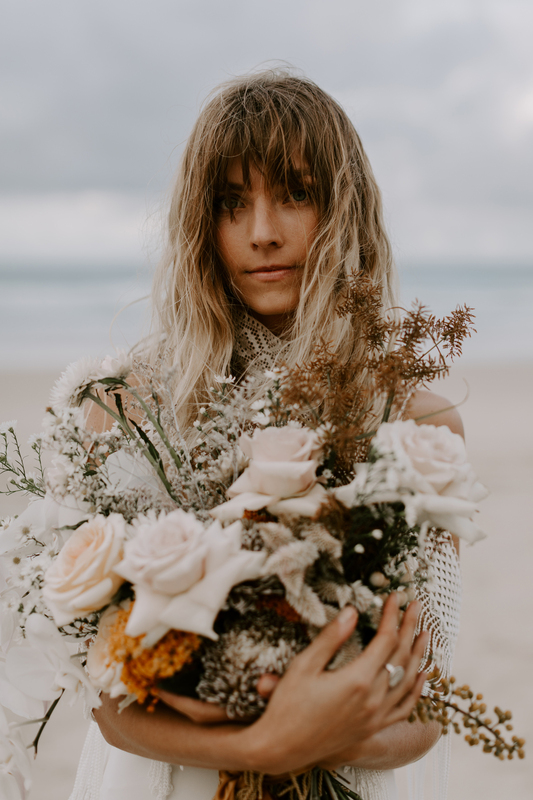 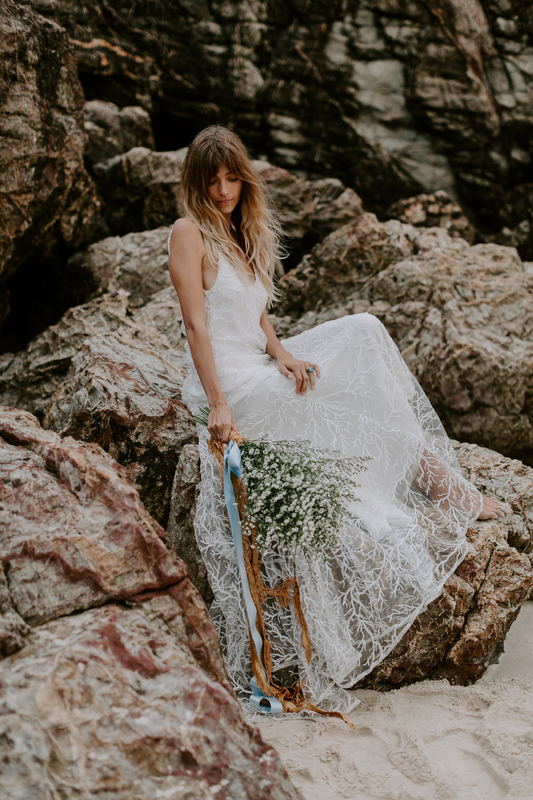 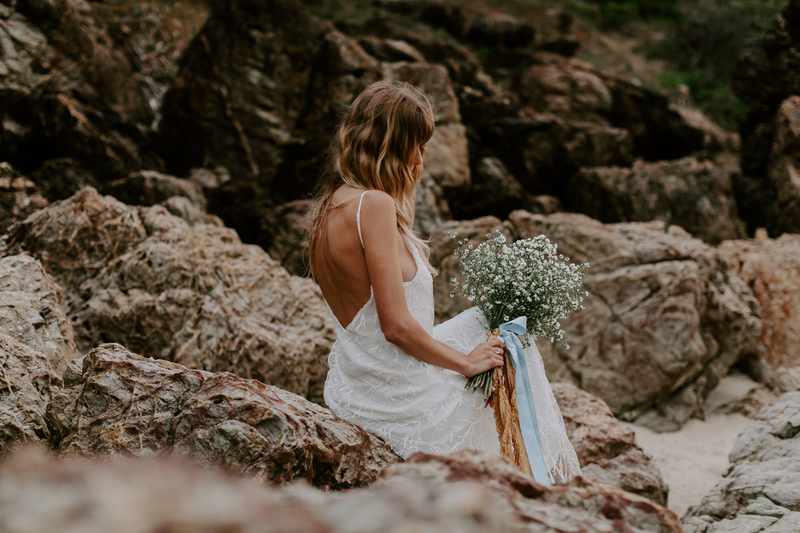 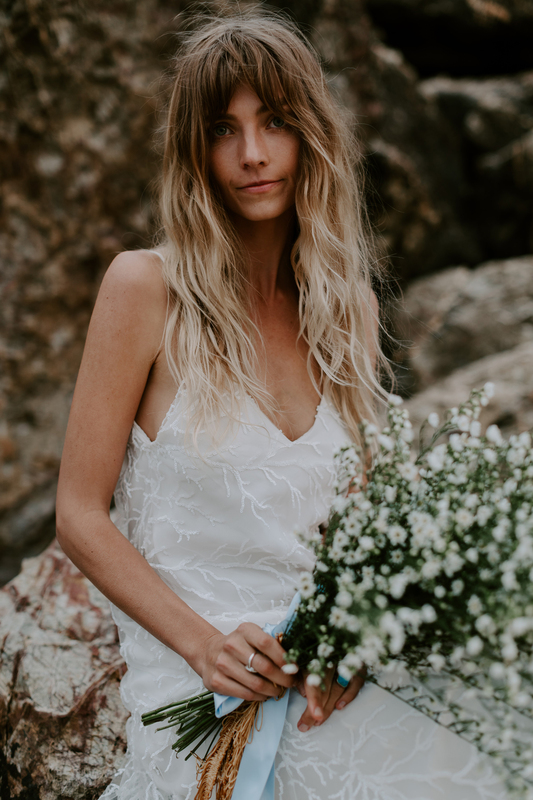 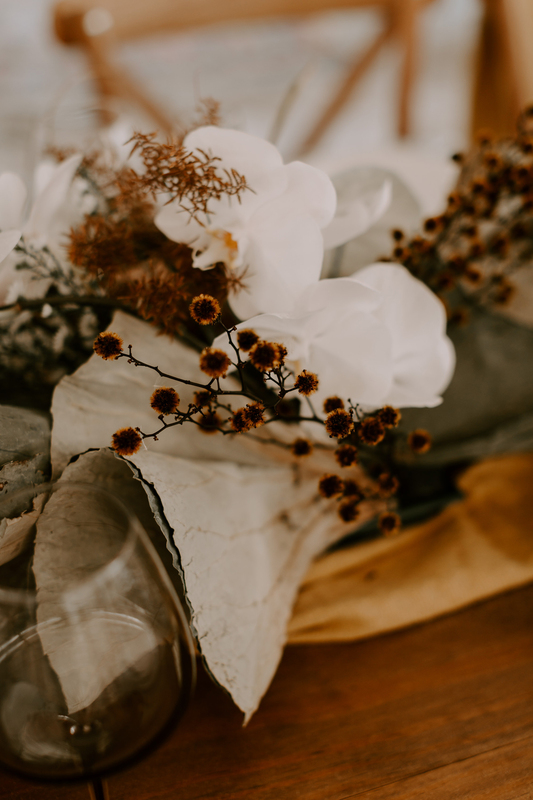 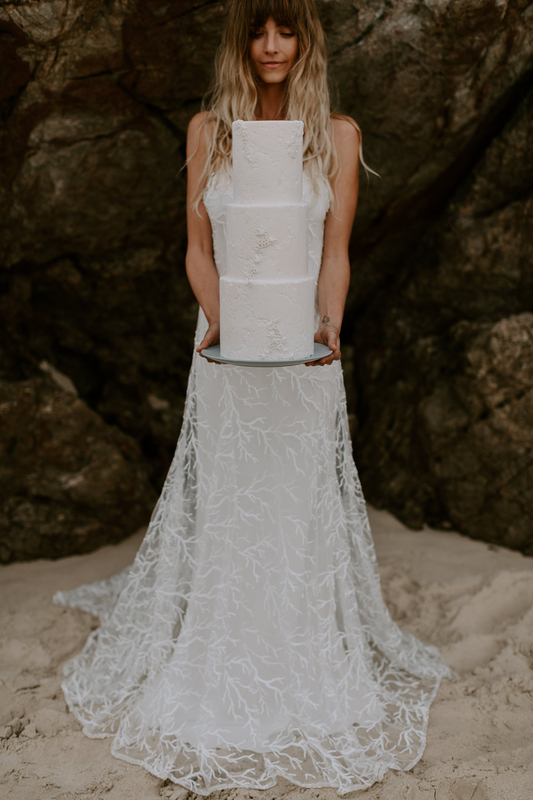 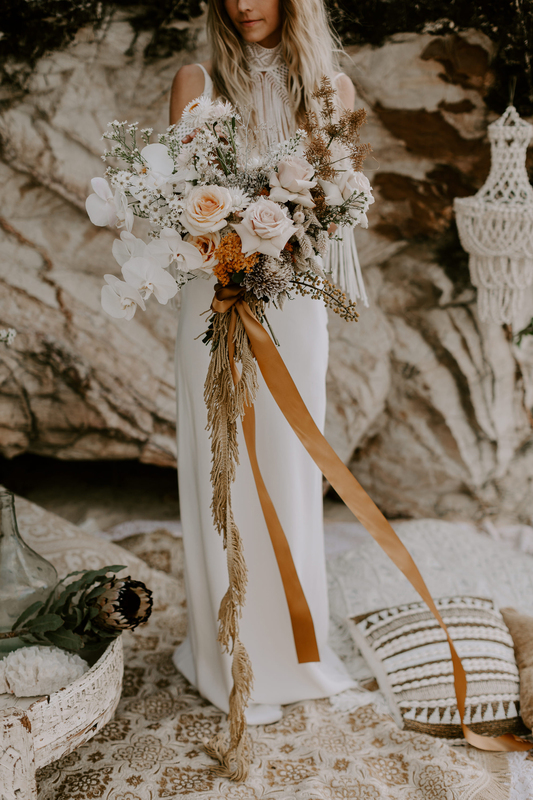 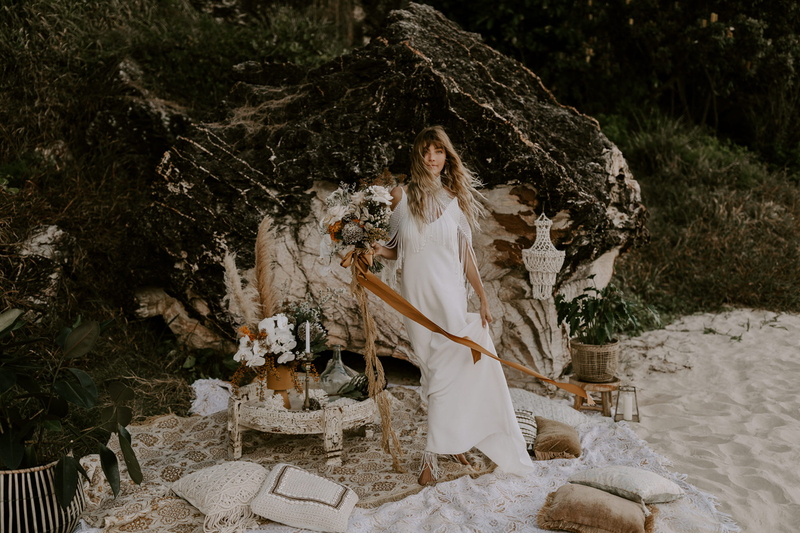 Our master colour palette was made up of mustard, powder blue, white (with hints of deep green) and we wanted to integrate earthy, woody textures, delicate pieces of coral and thread the idea of “fringing” throughout the shoot. 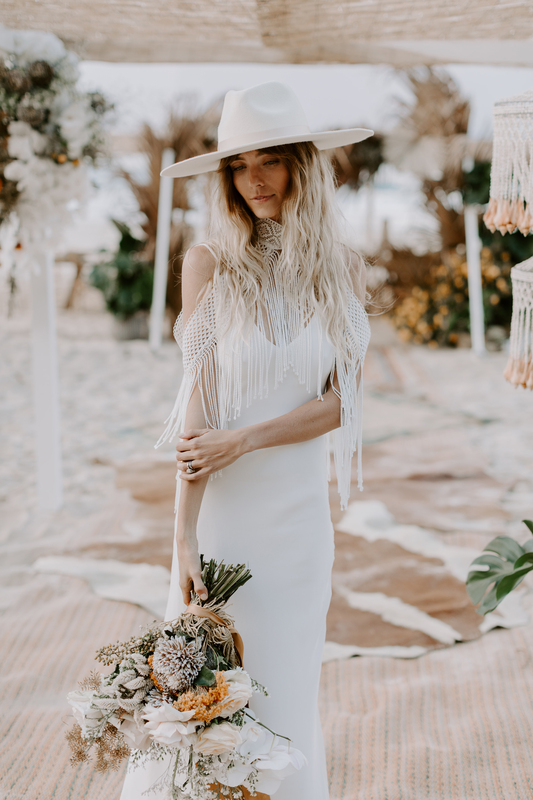 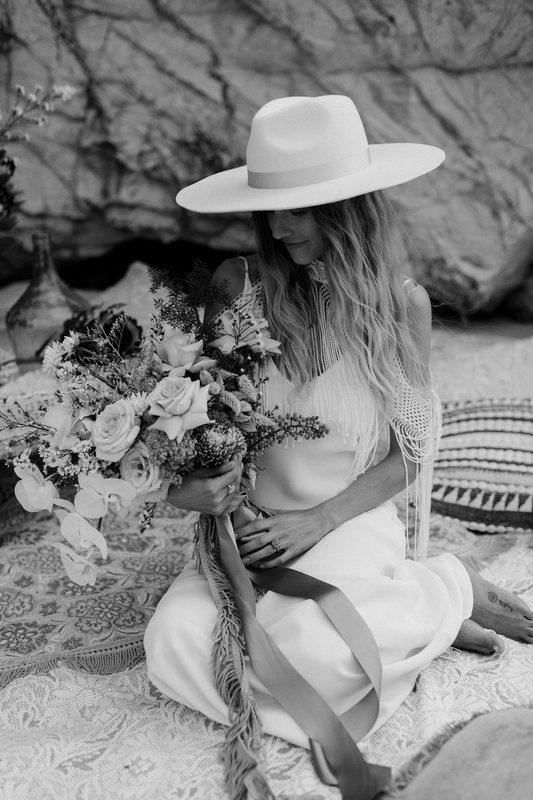 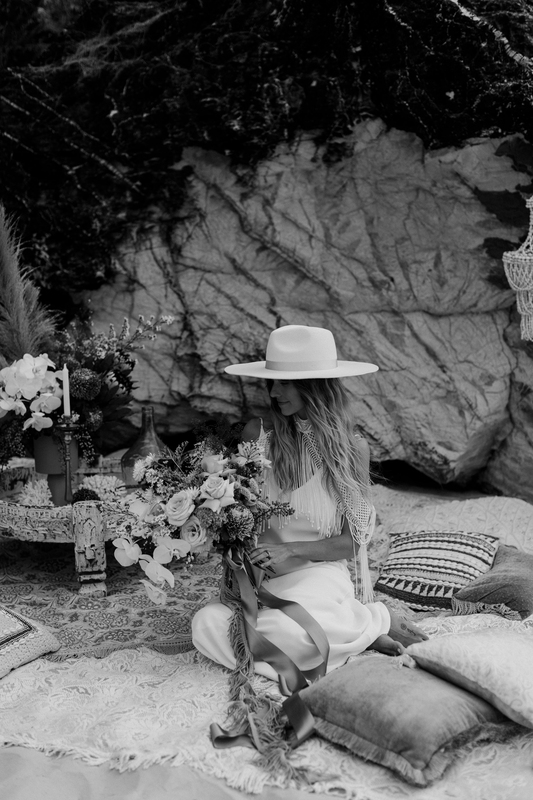 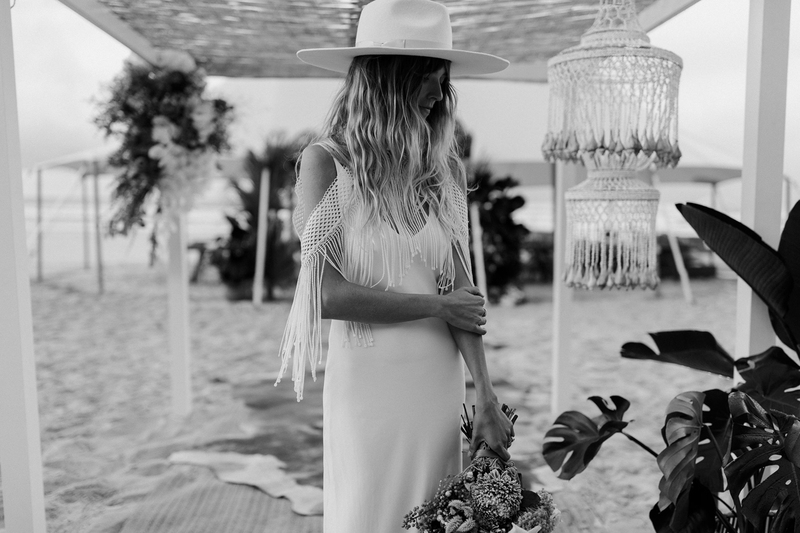 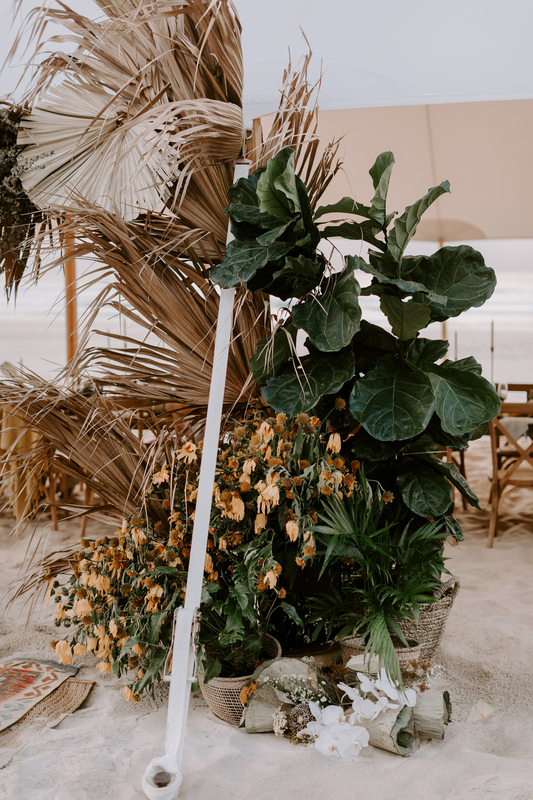 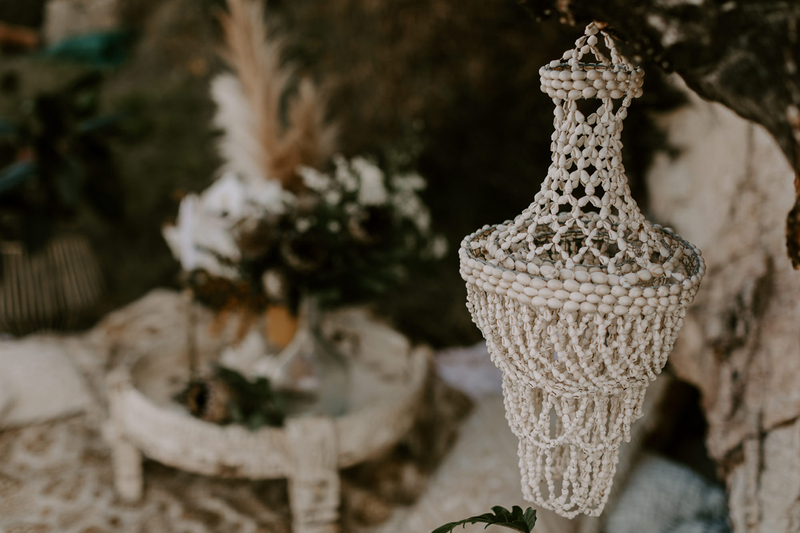 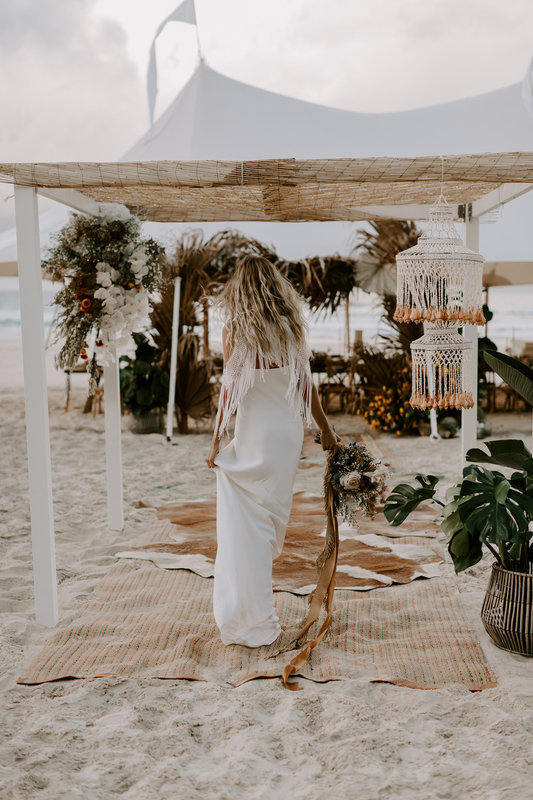 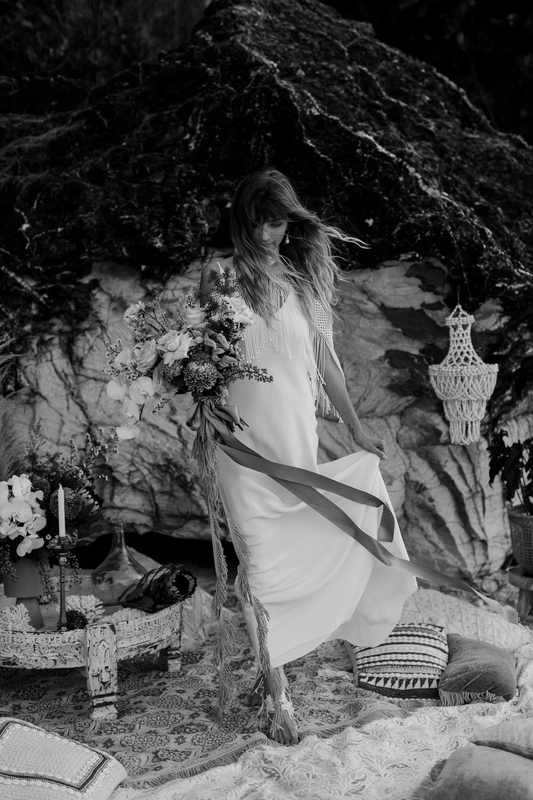 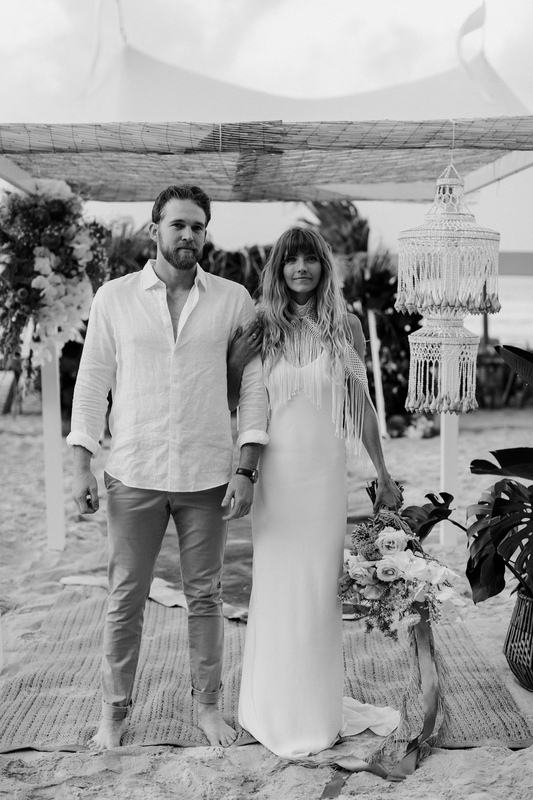 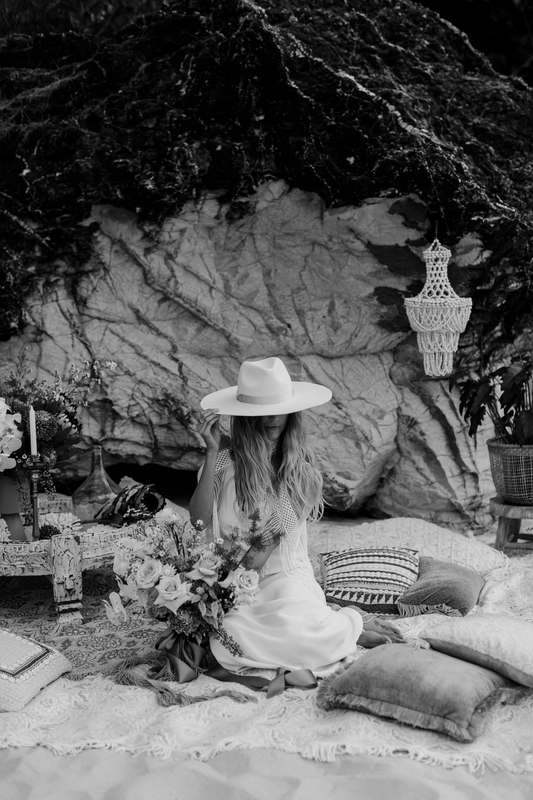 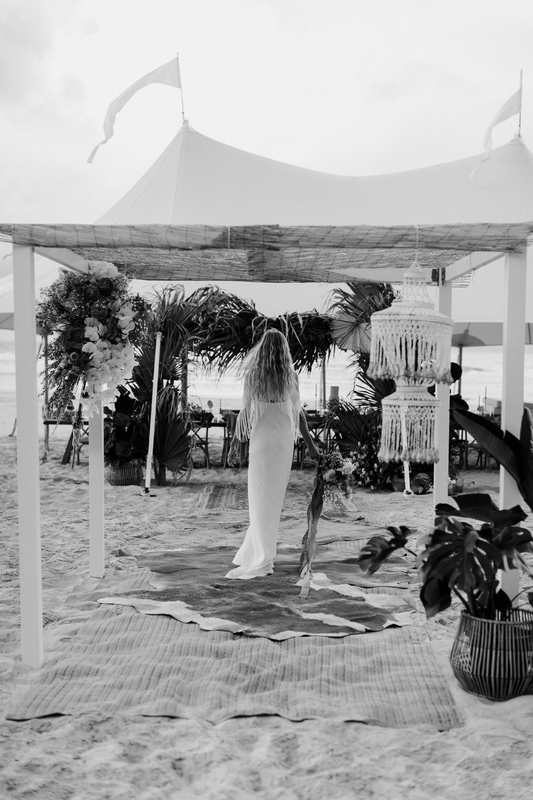 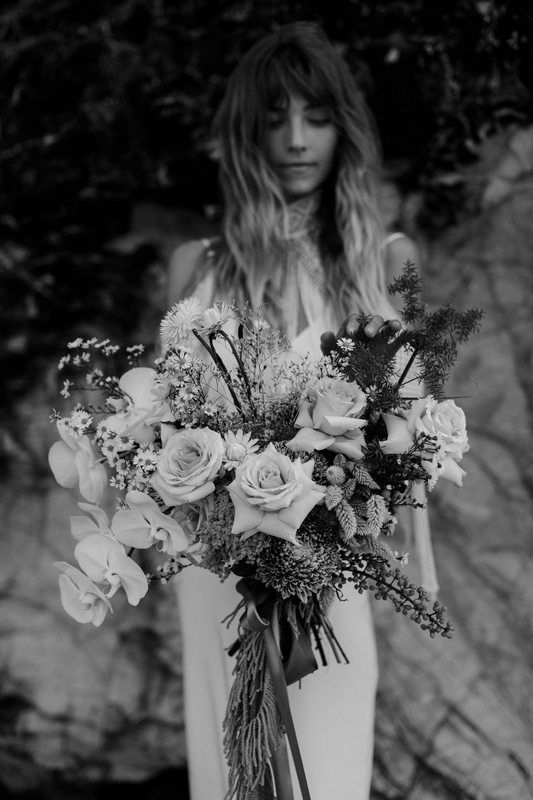 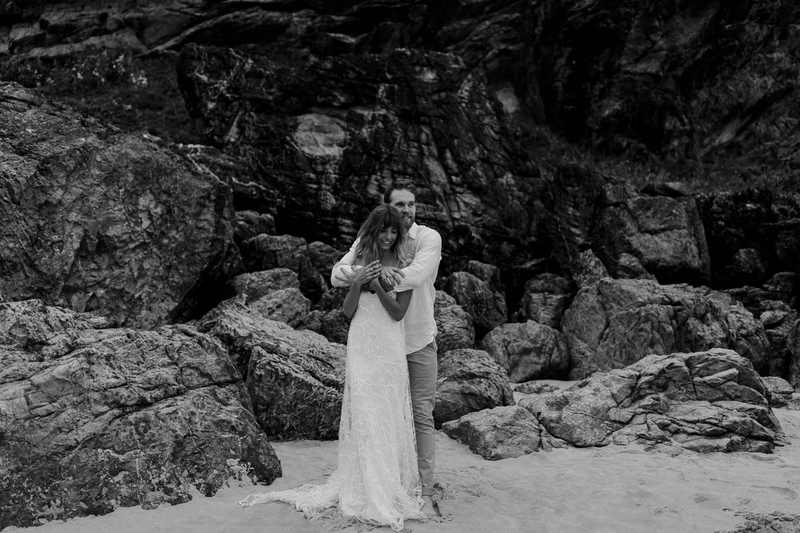 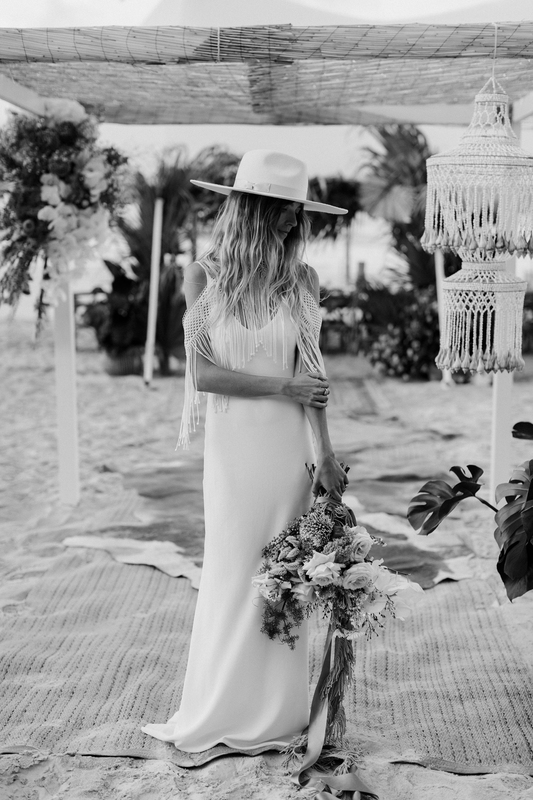 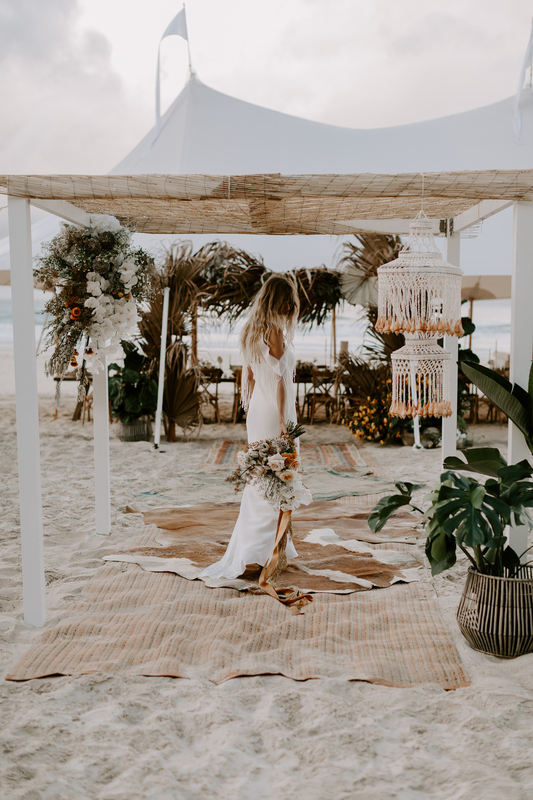 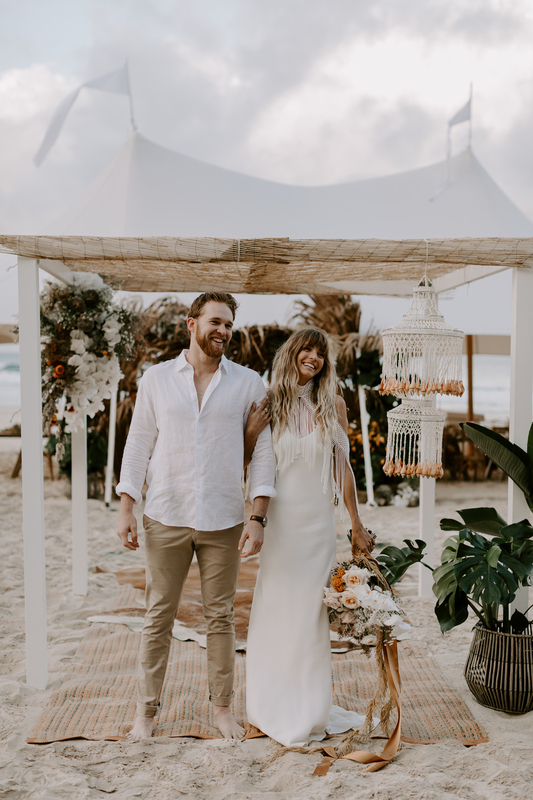 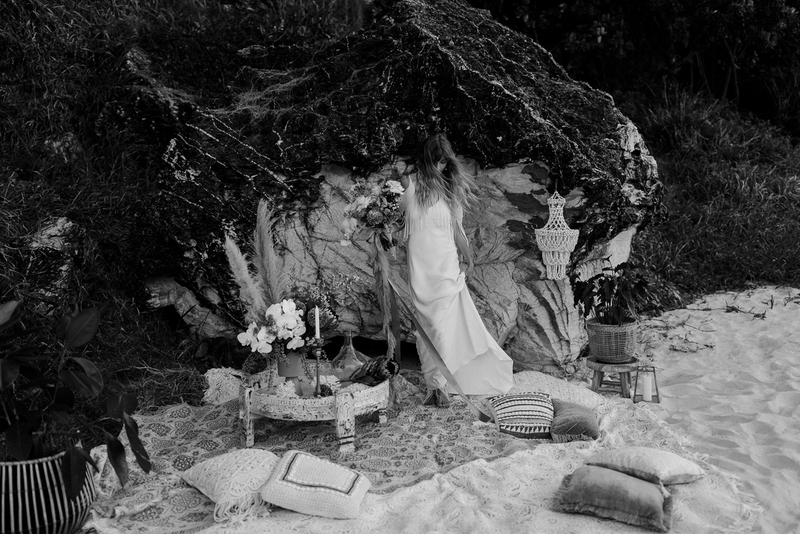 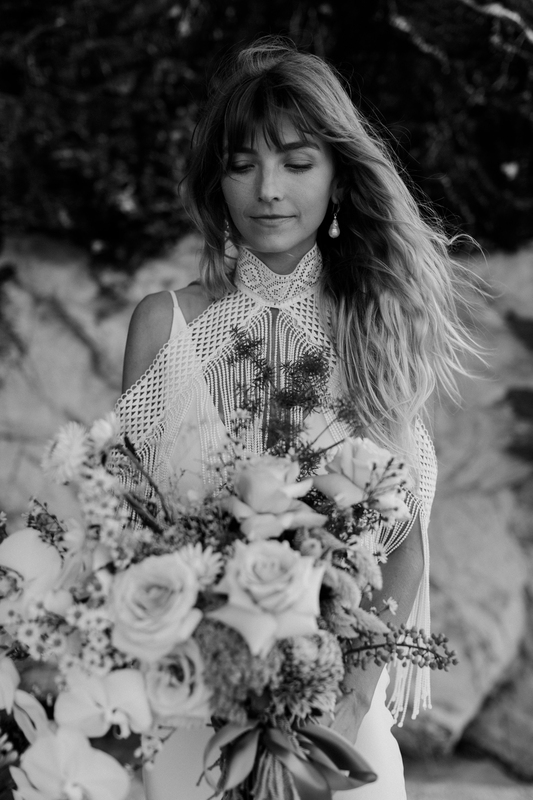 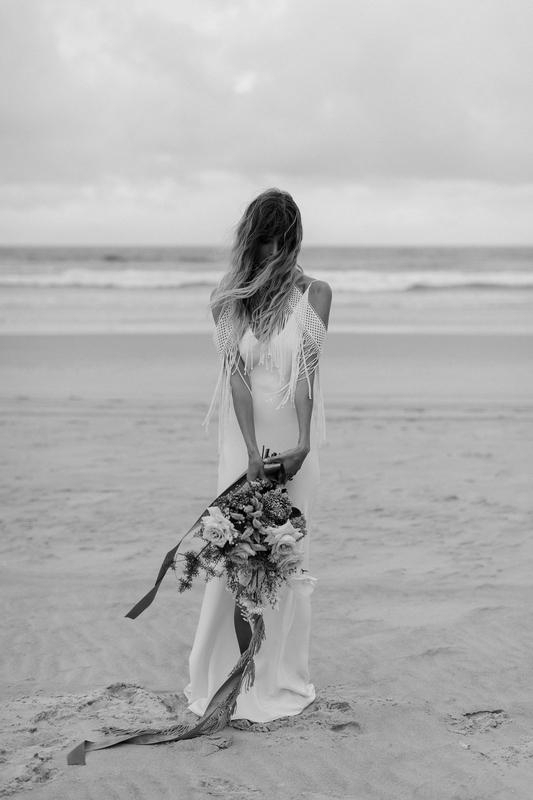 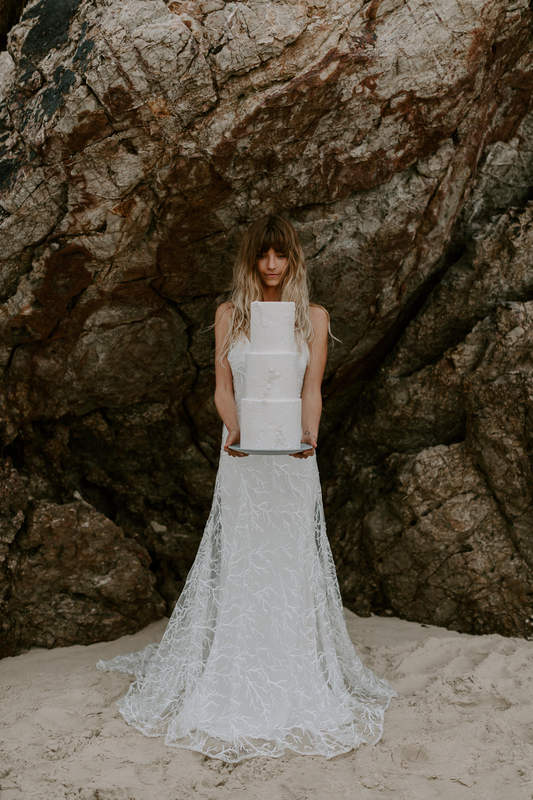 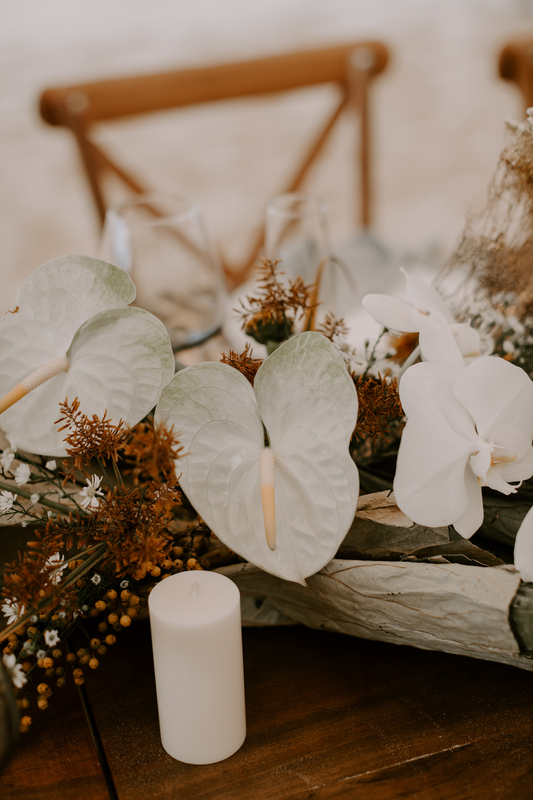 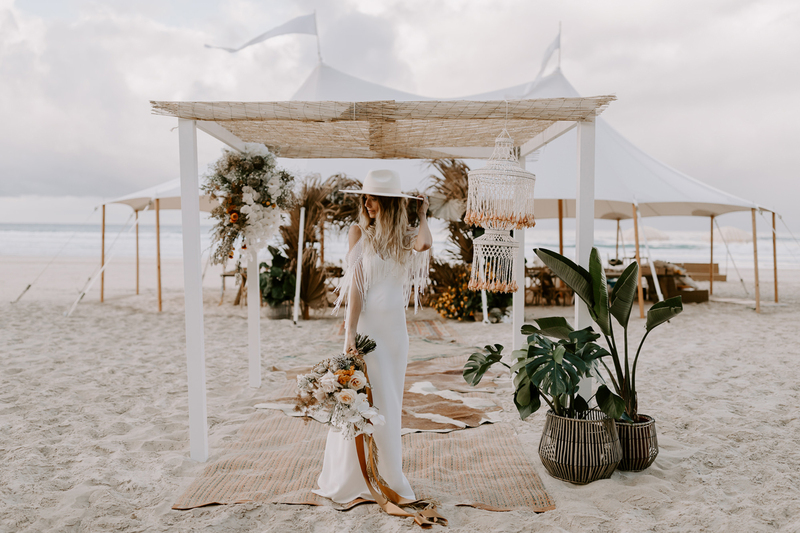 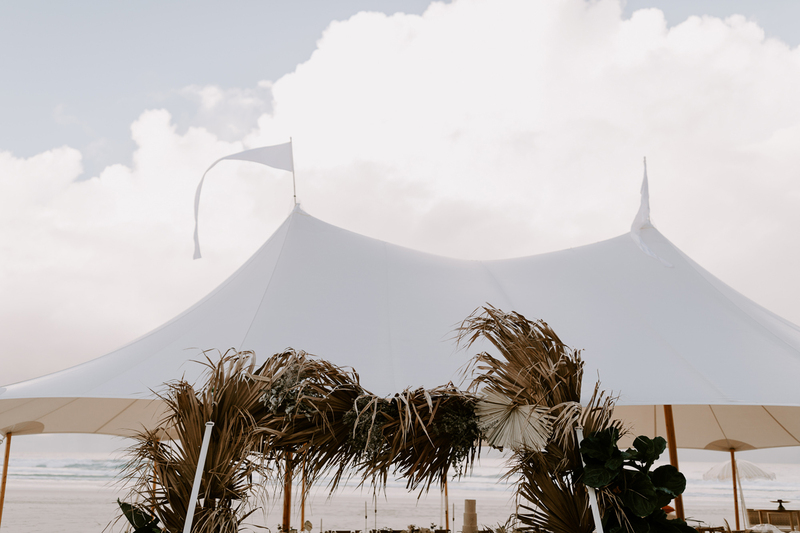 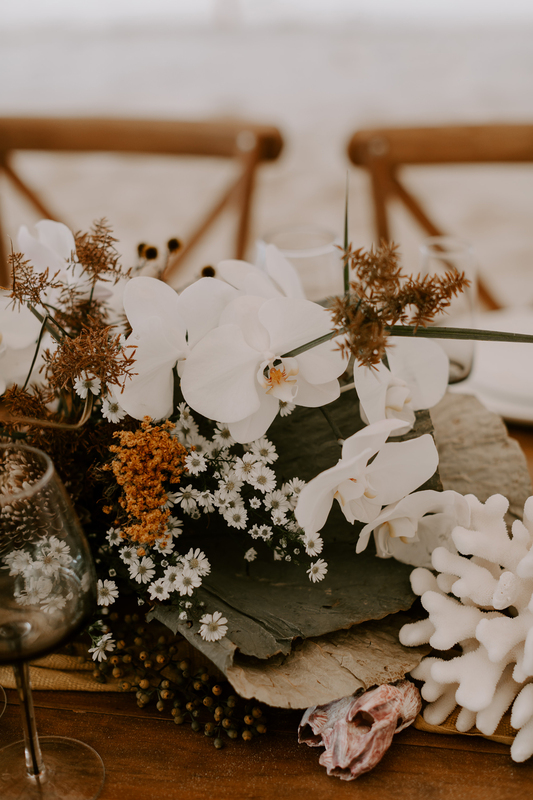 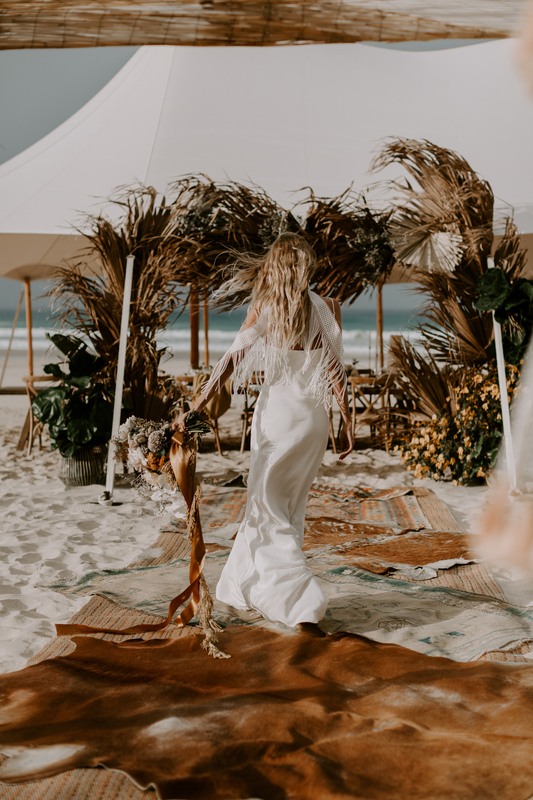 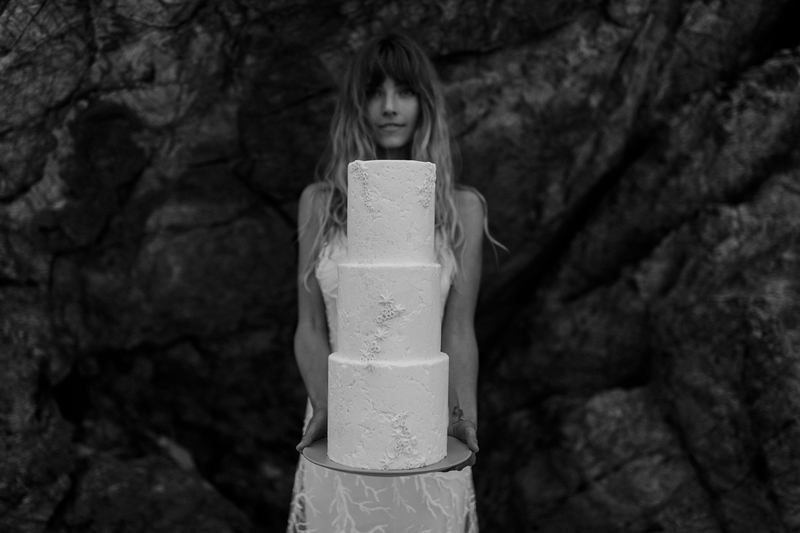 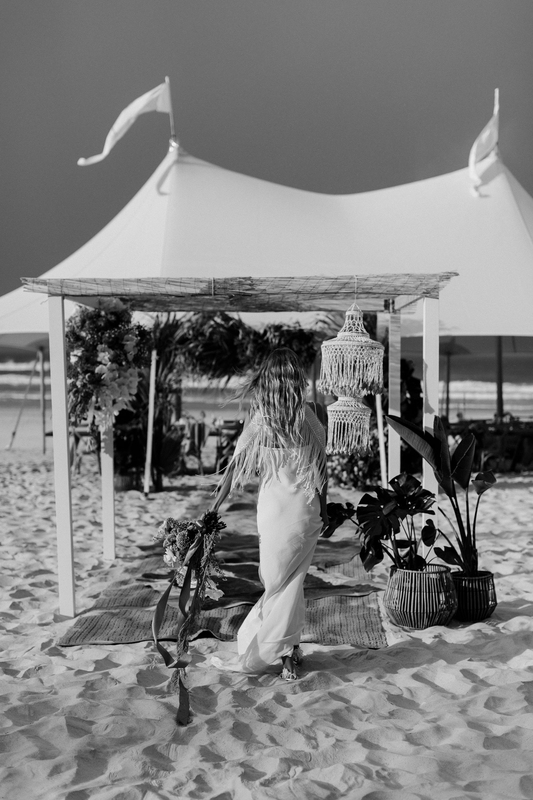 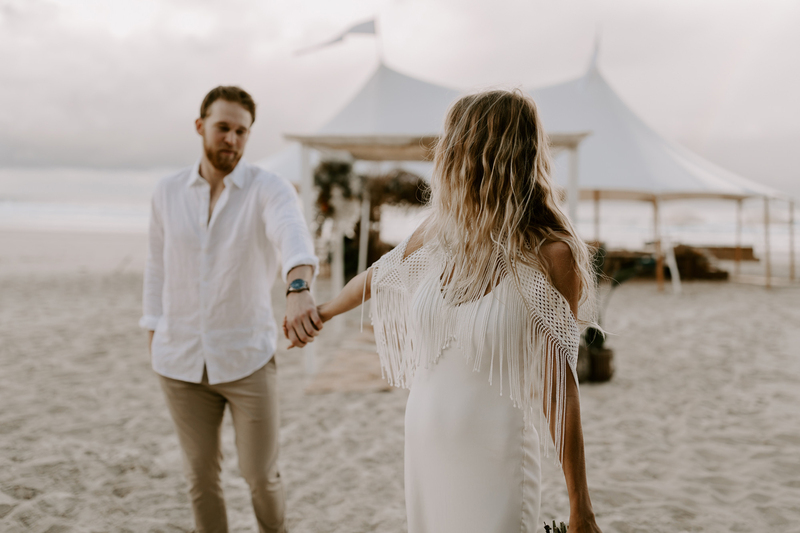 From the lengthy strands of ribbon and tassels on the bridal bouquets, to the dramatic entrance of the tent, down to the wedding gowns and accessories – all crafted and selected with this in mind. 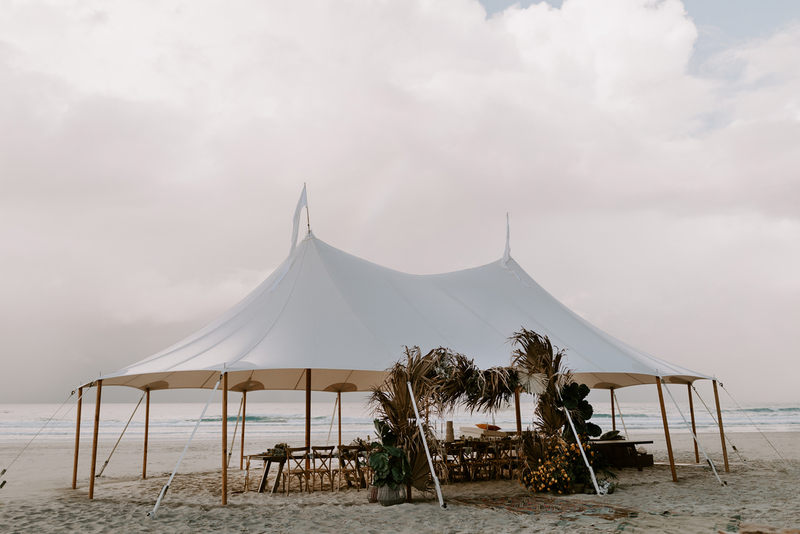 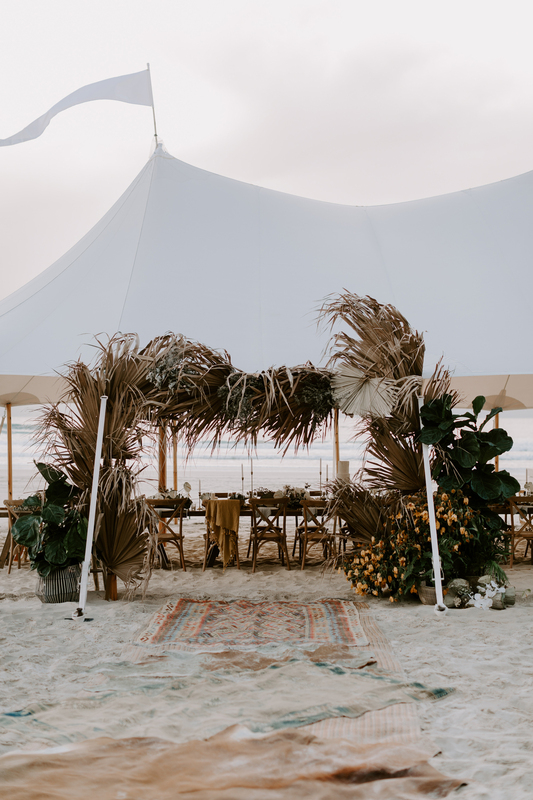 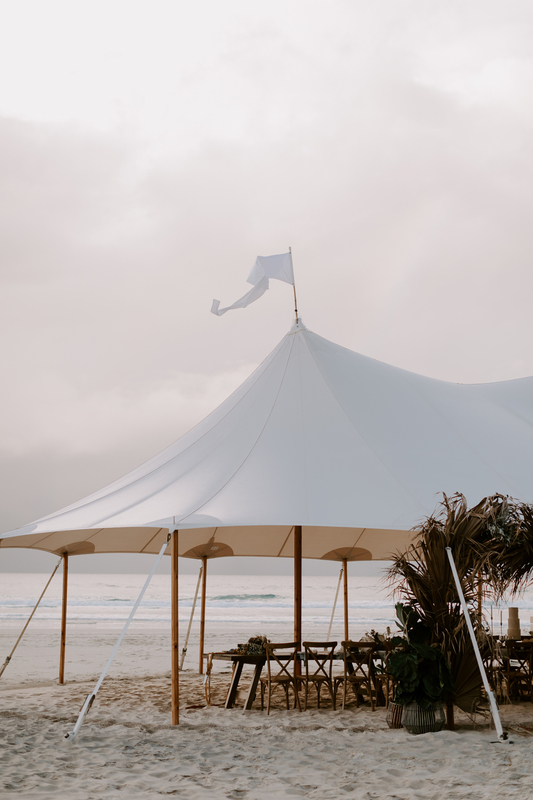 Every supplier eagerly embraced the brief, came together and despite the inclement weather, battled against mother nature to create something truly breathtaking. 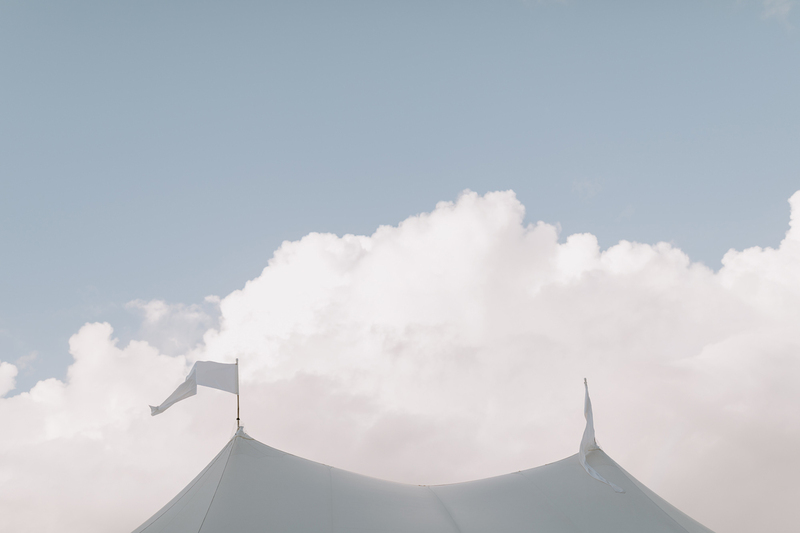 We are so grateful to each and every one of you for going above and beyond. 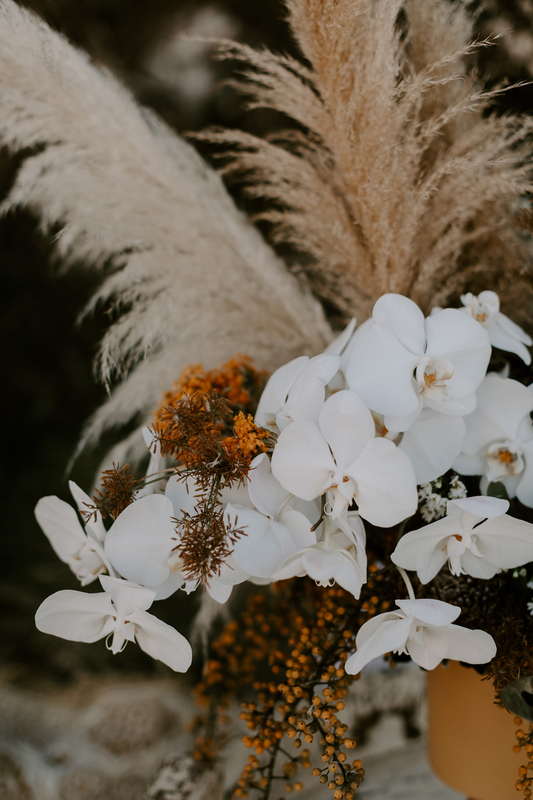 Please find the full list of credits below. 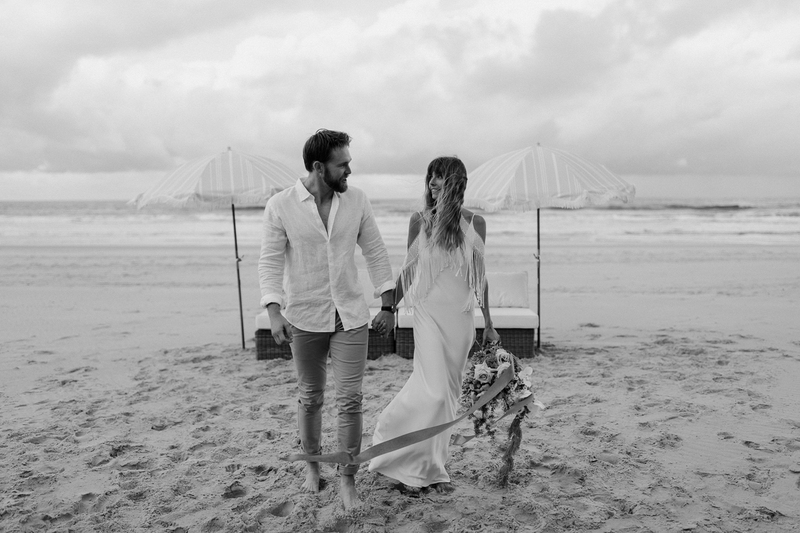 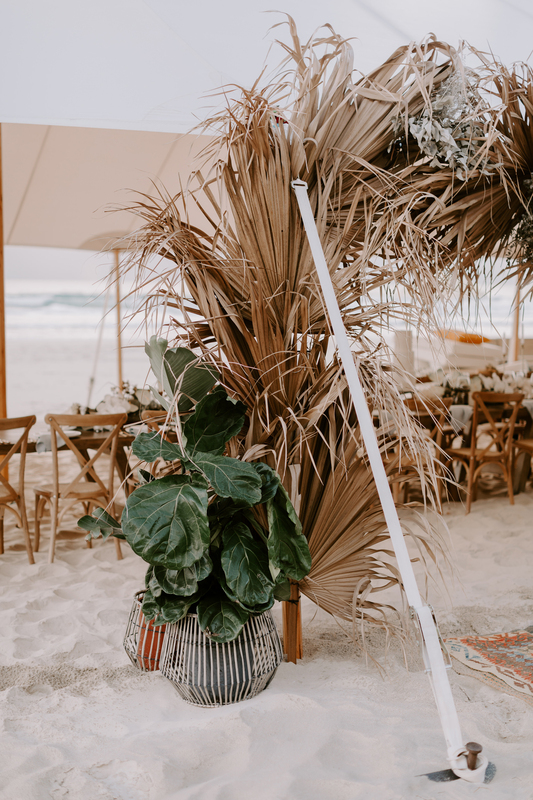 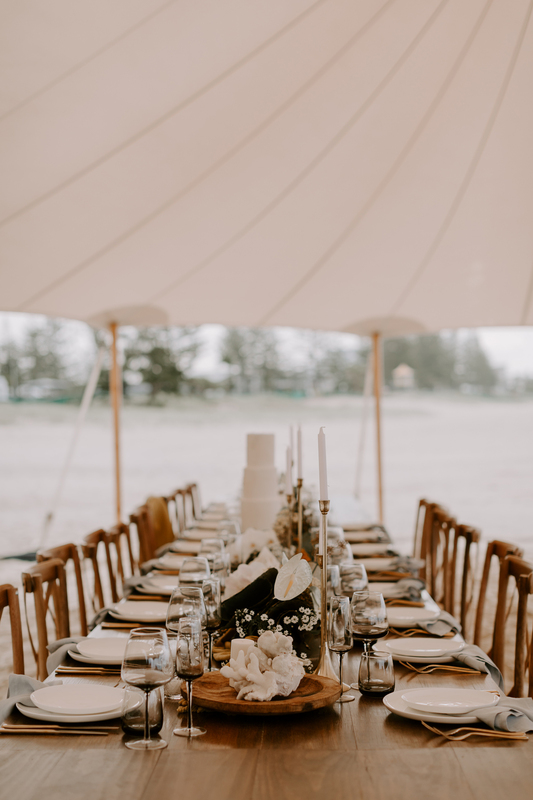 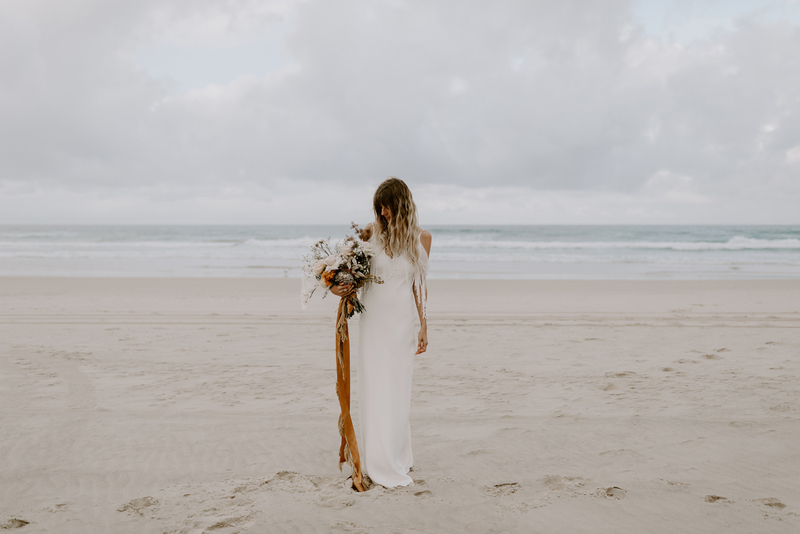 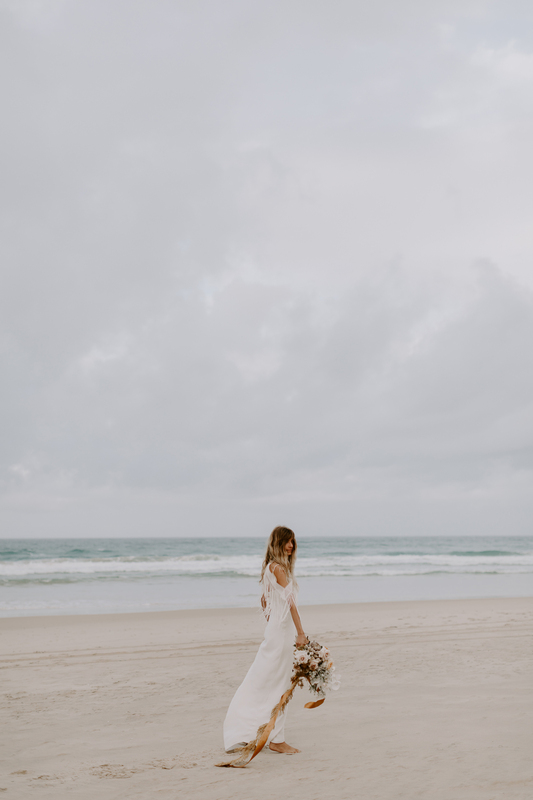 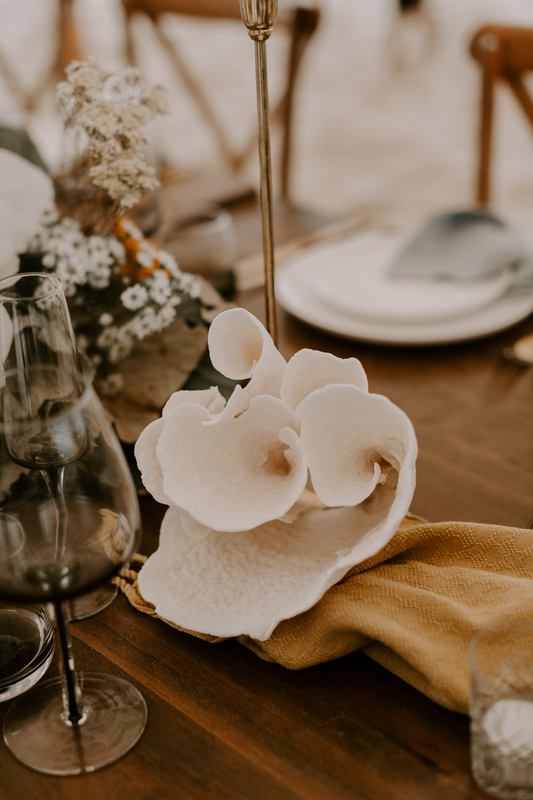 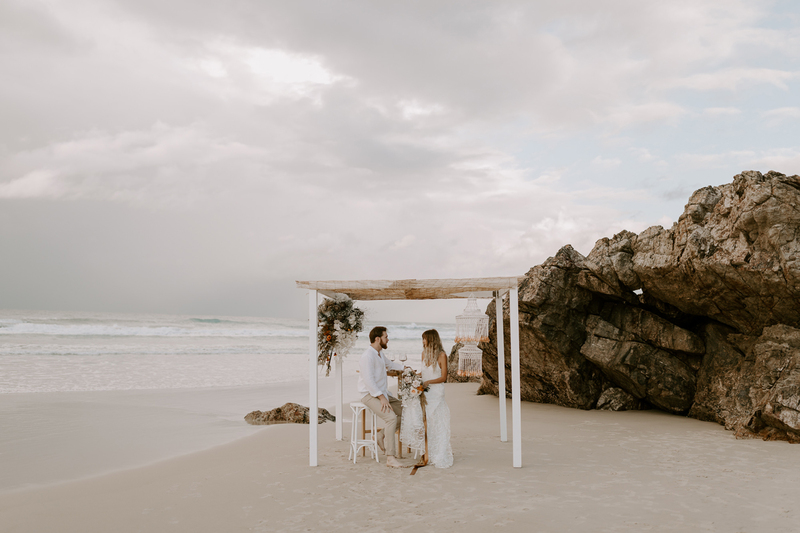 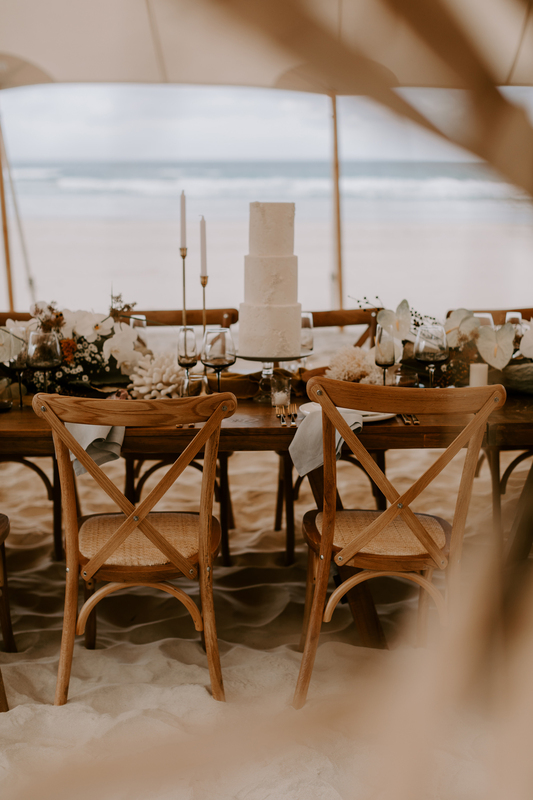 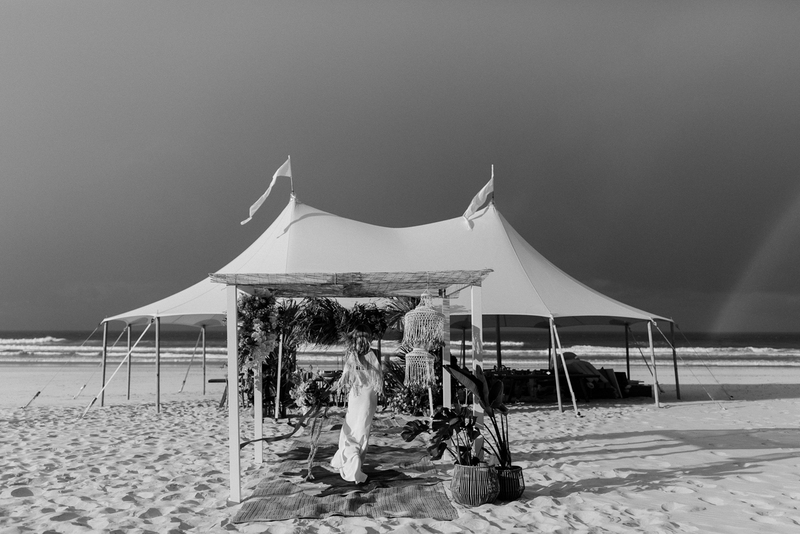 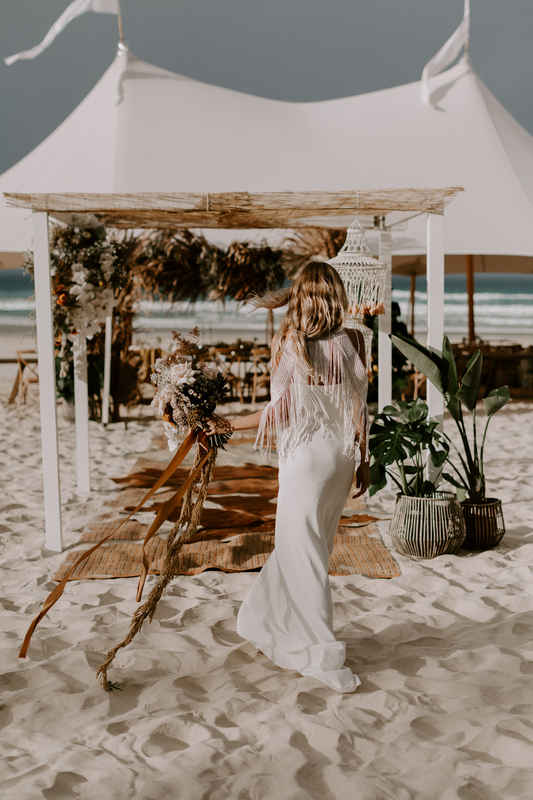 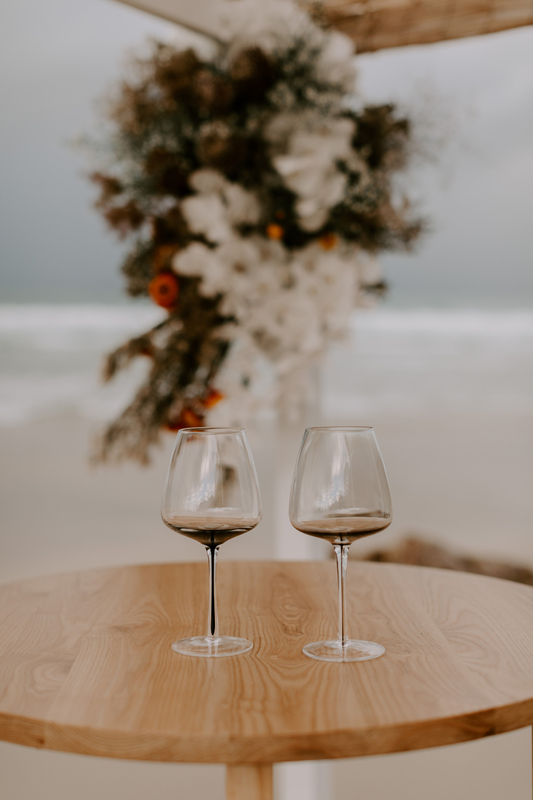 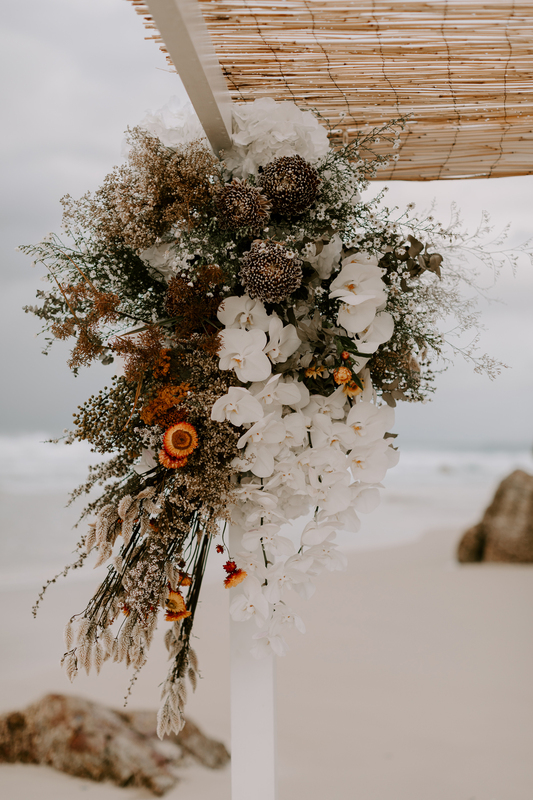 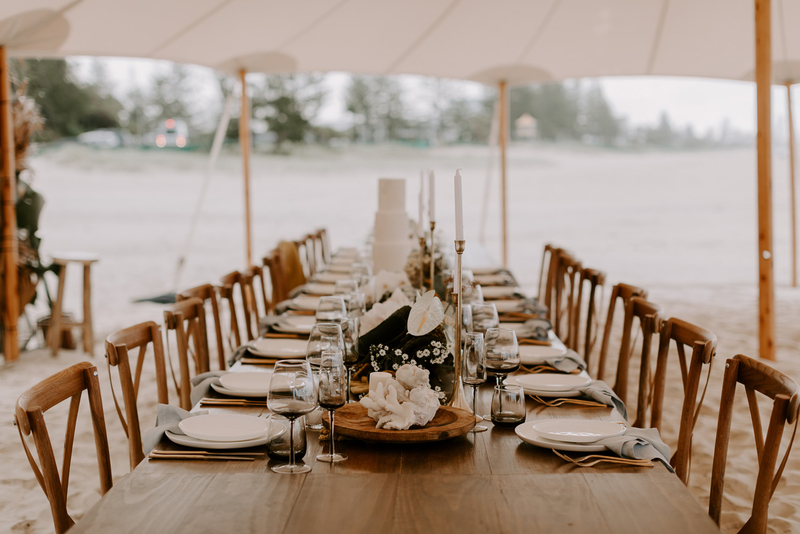 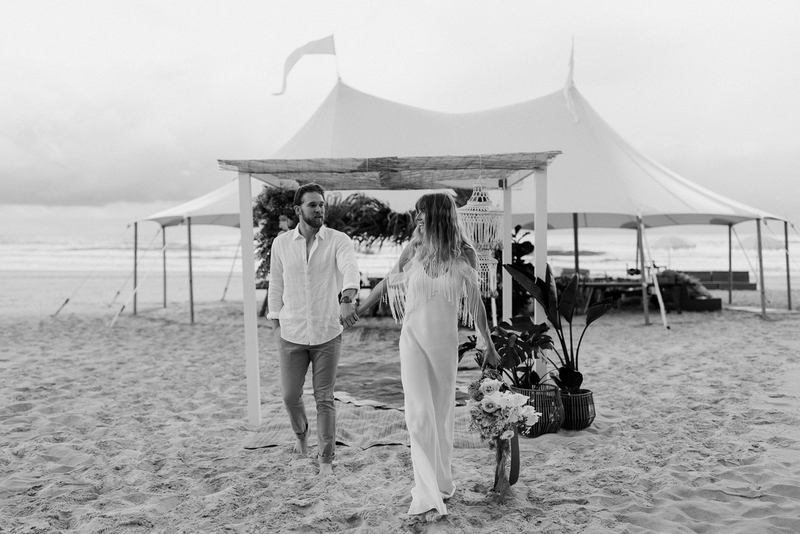 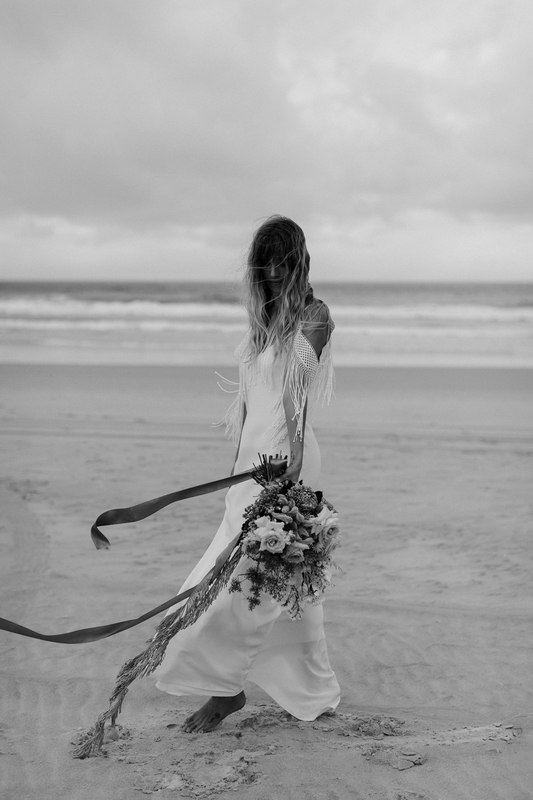 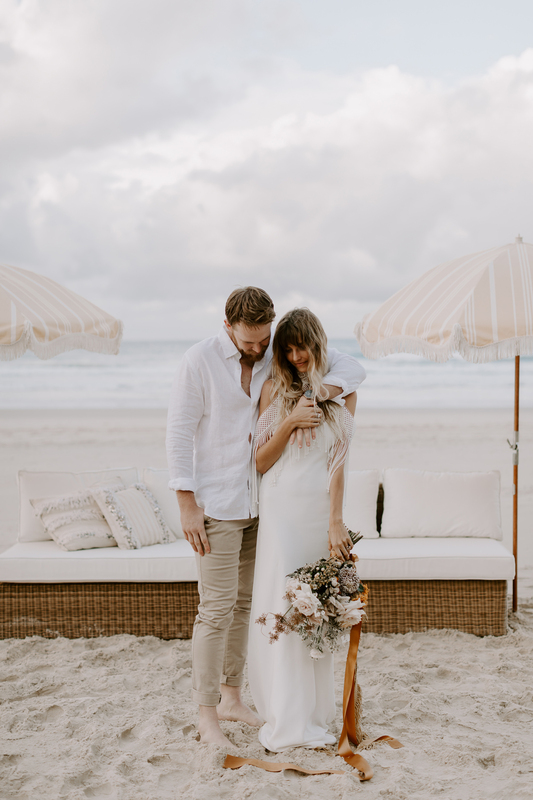 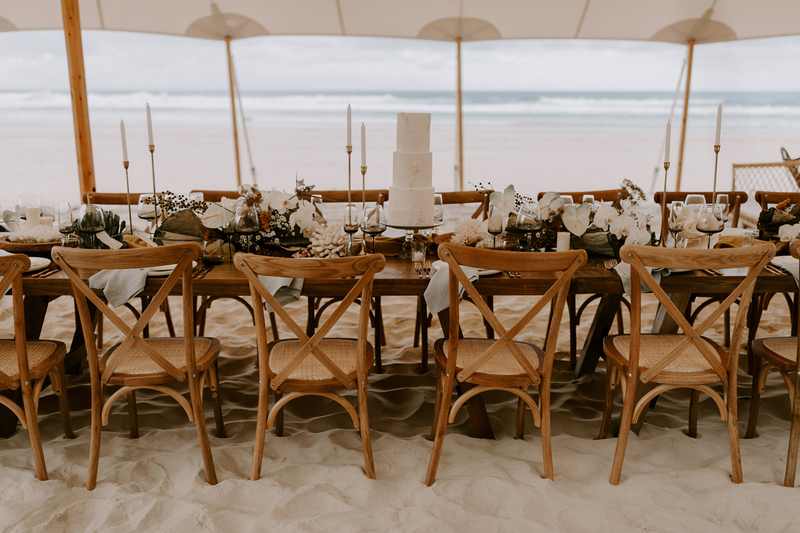 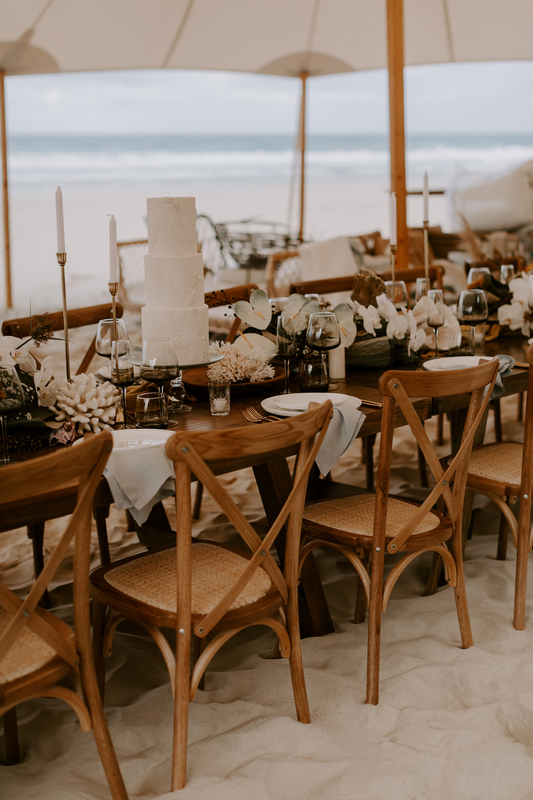 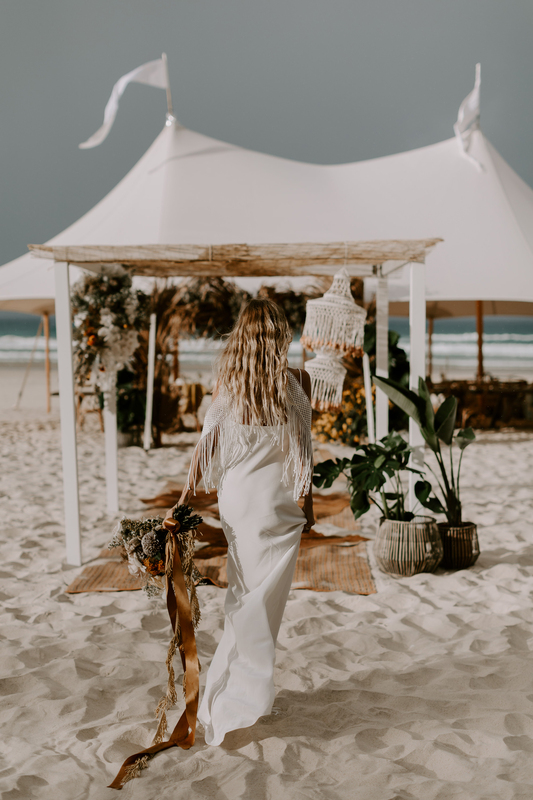 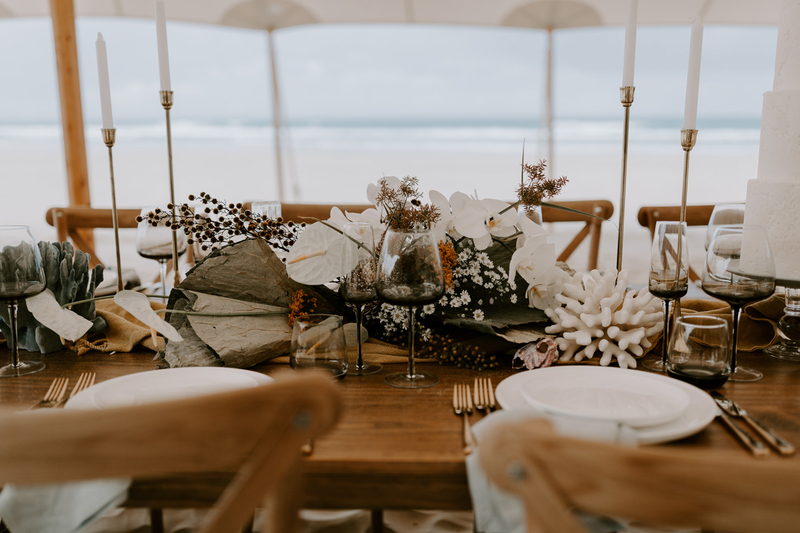 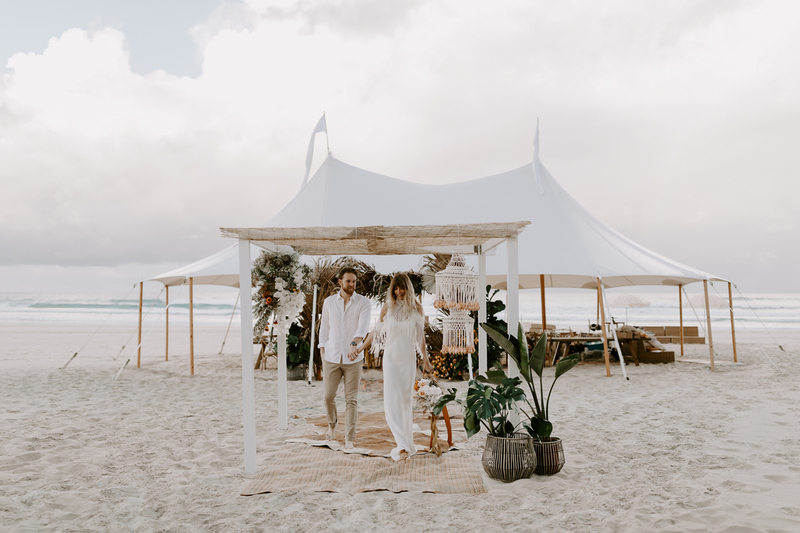 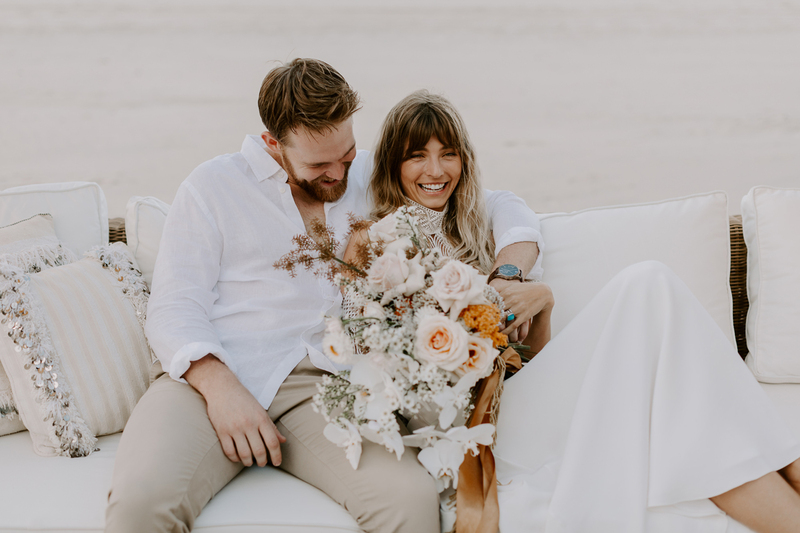 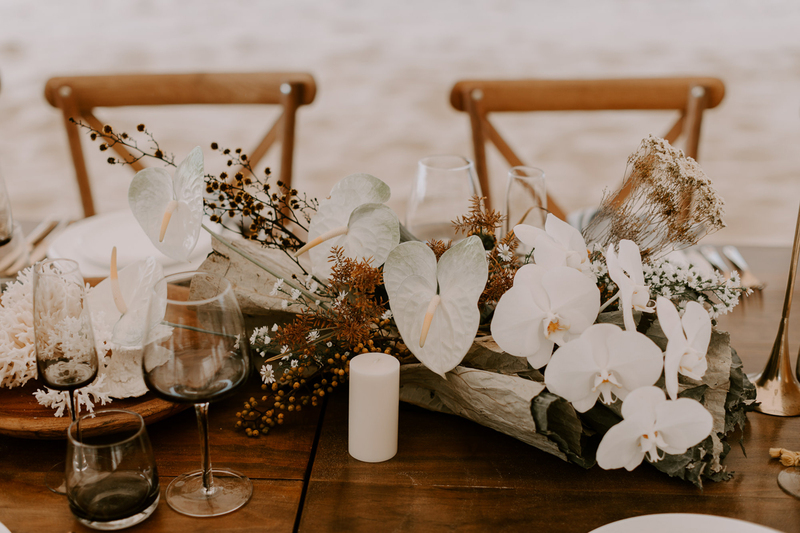 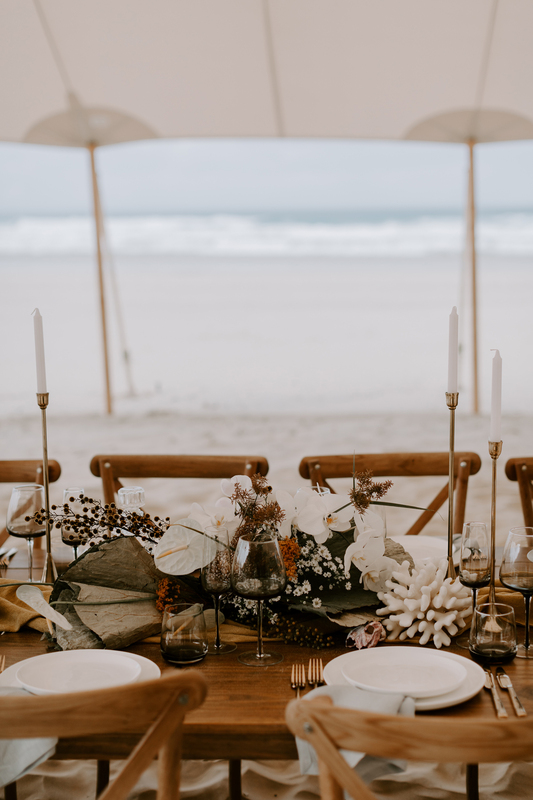 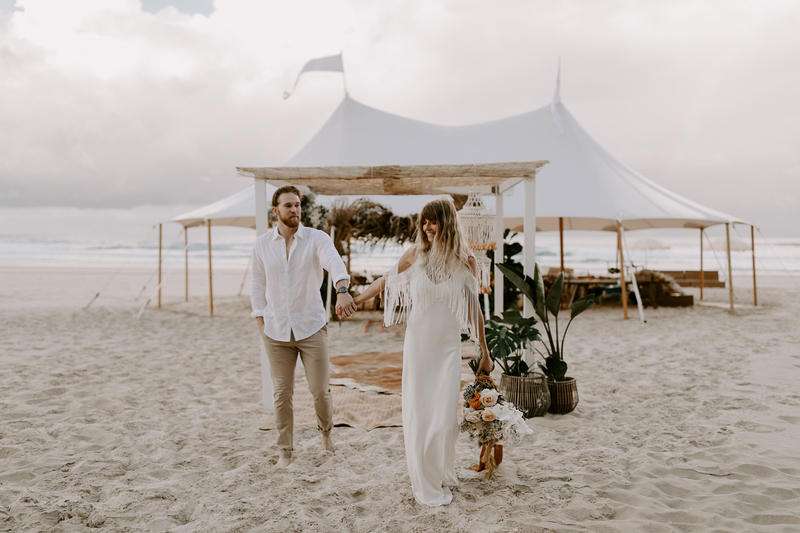 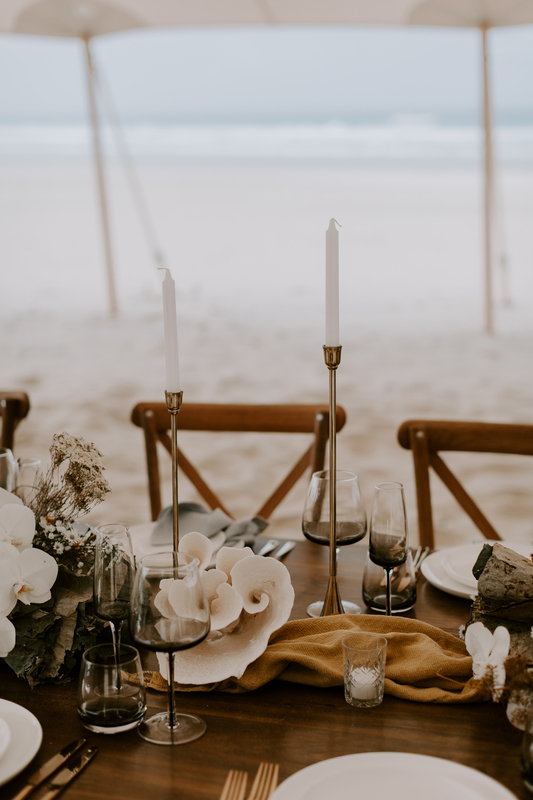 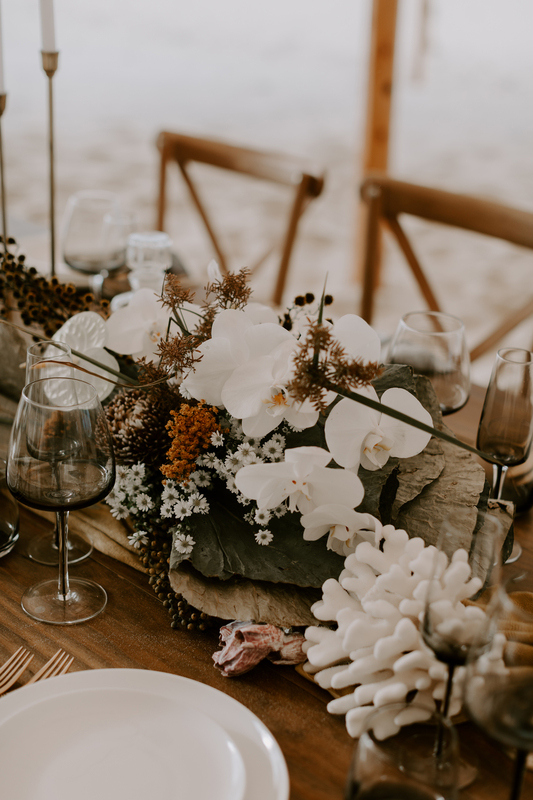 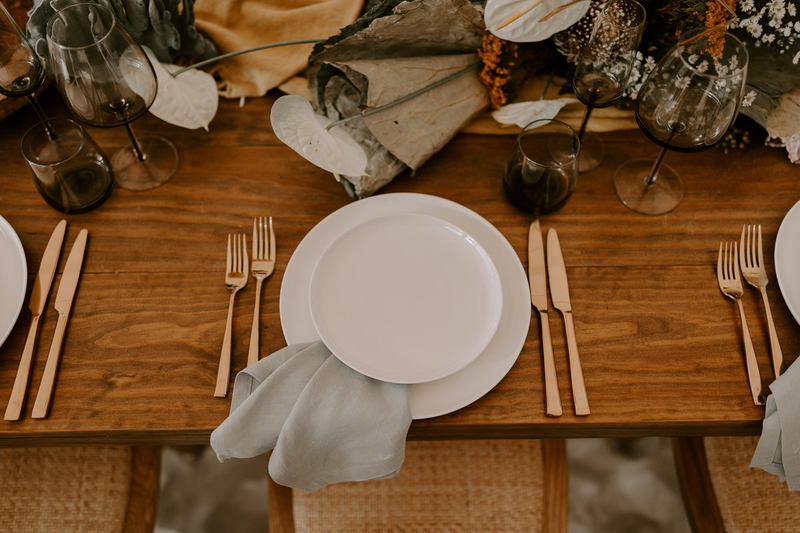 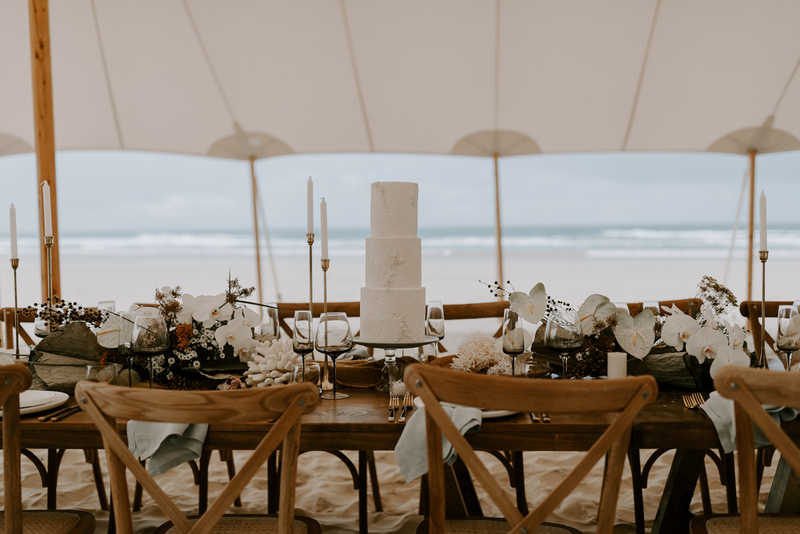 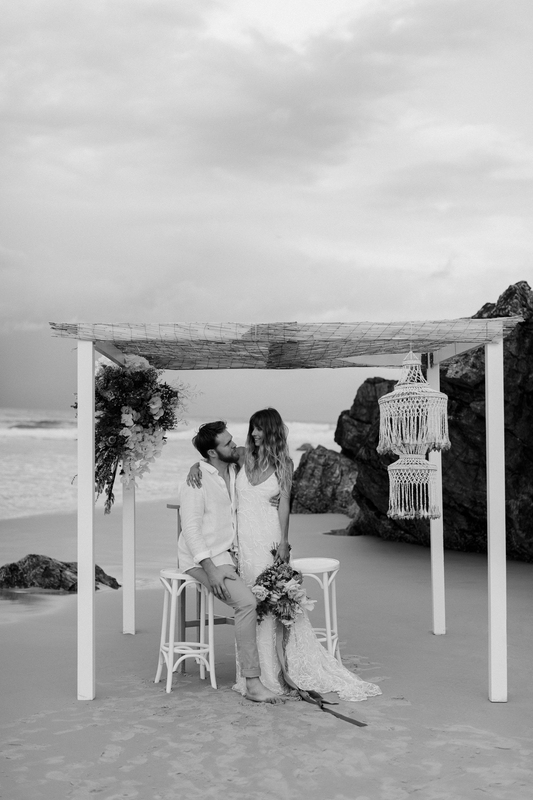 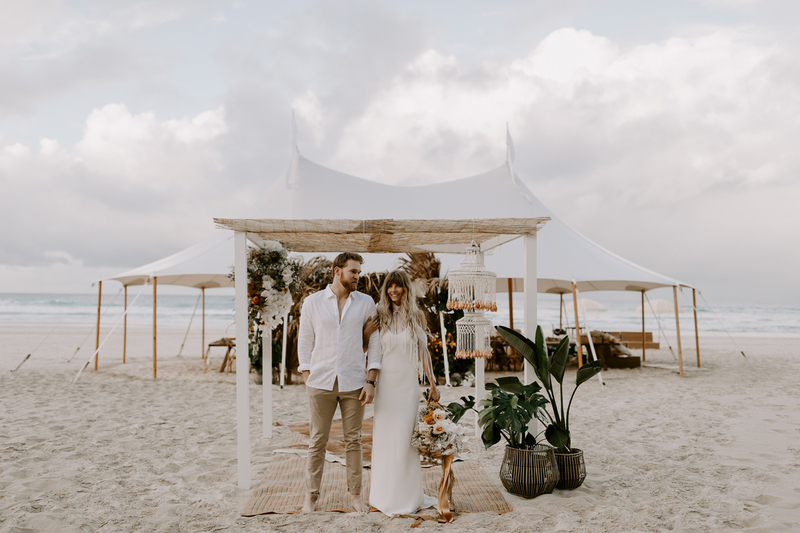 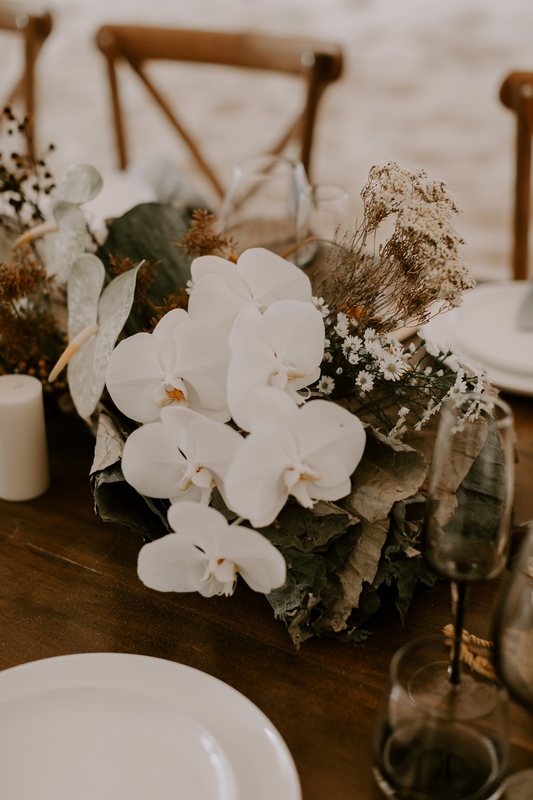 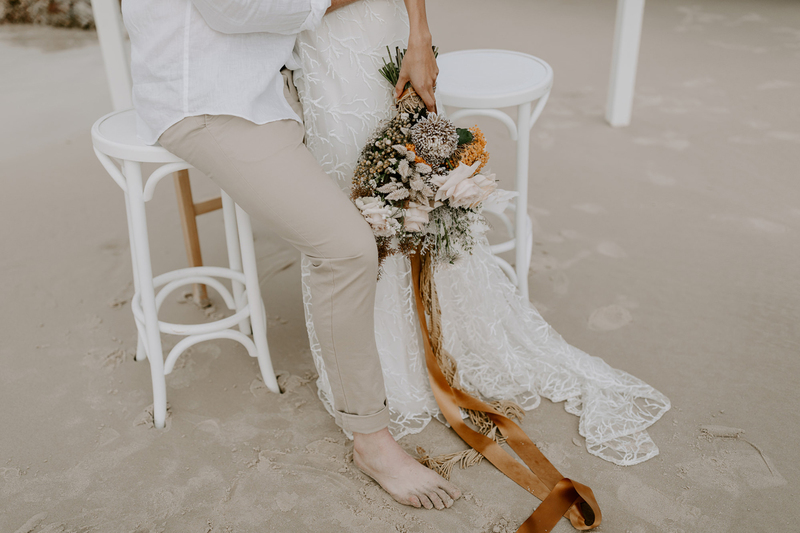 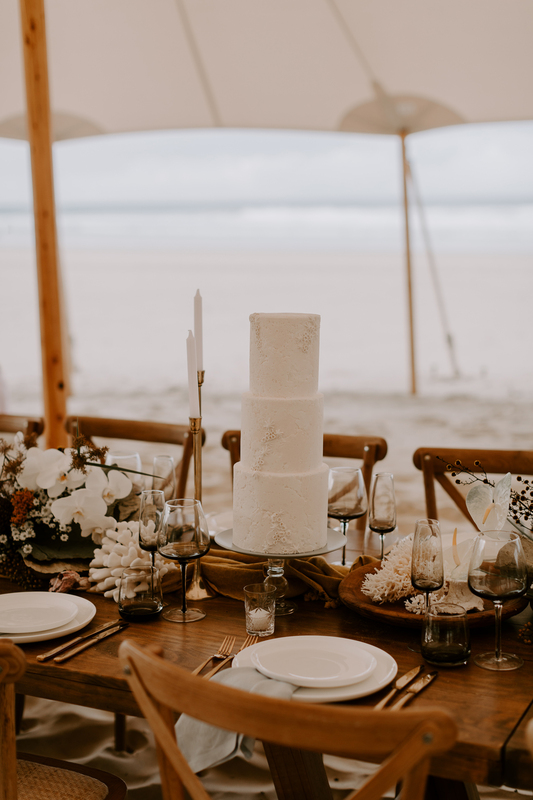 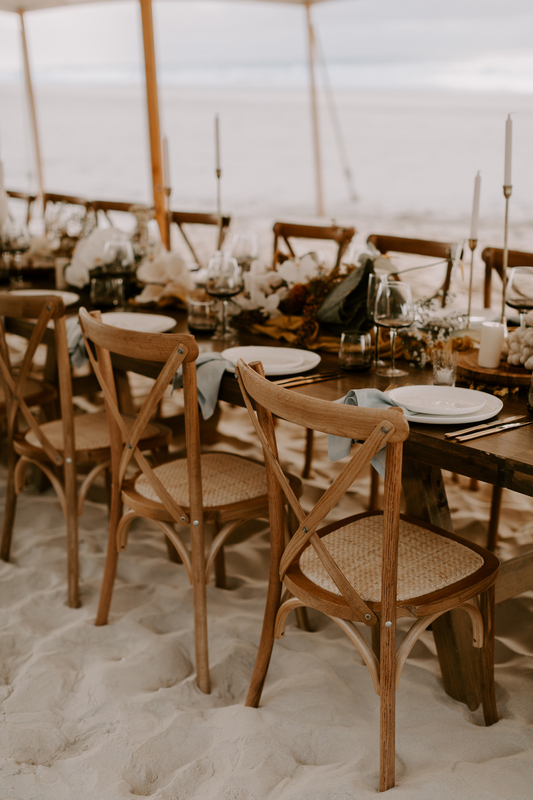 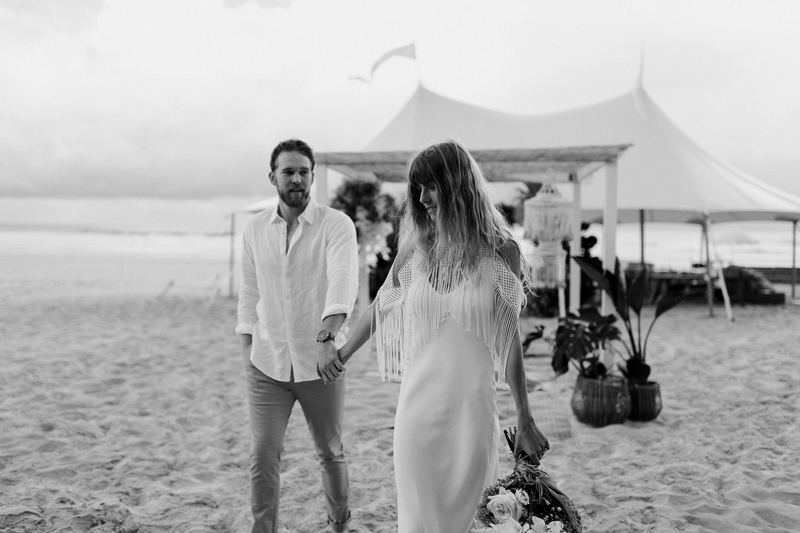 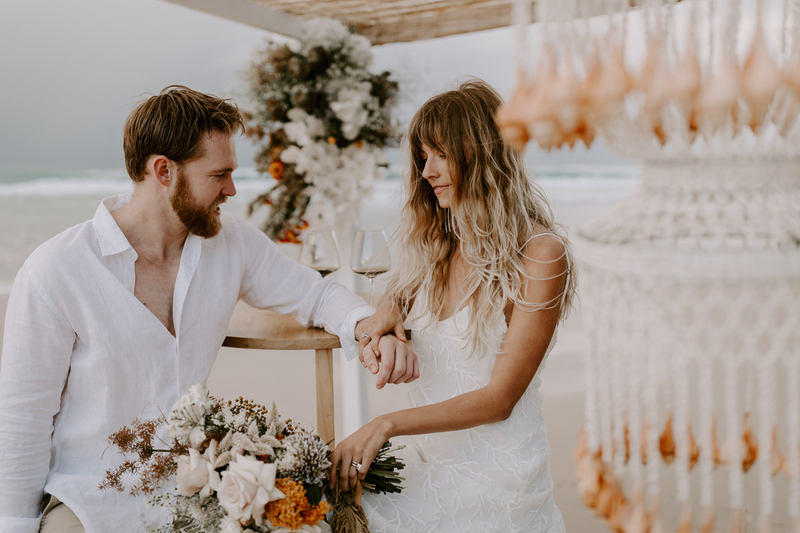 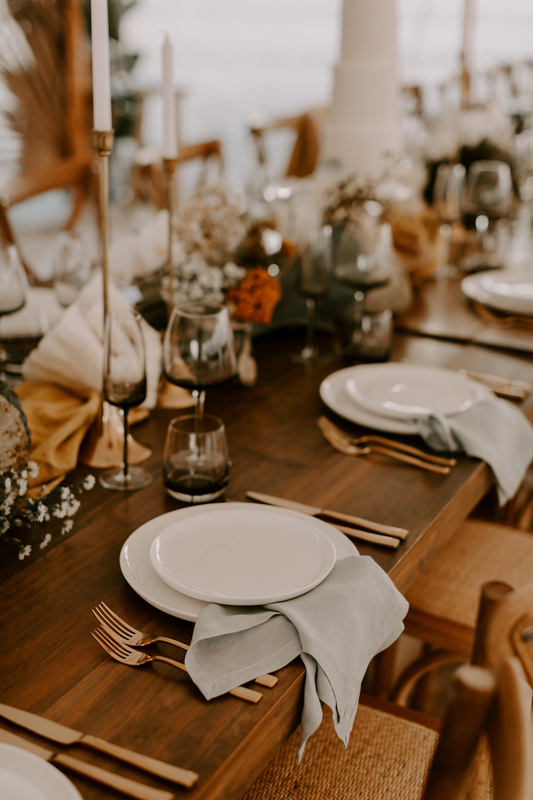 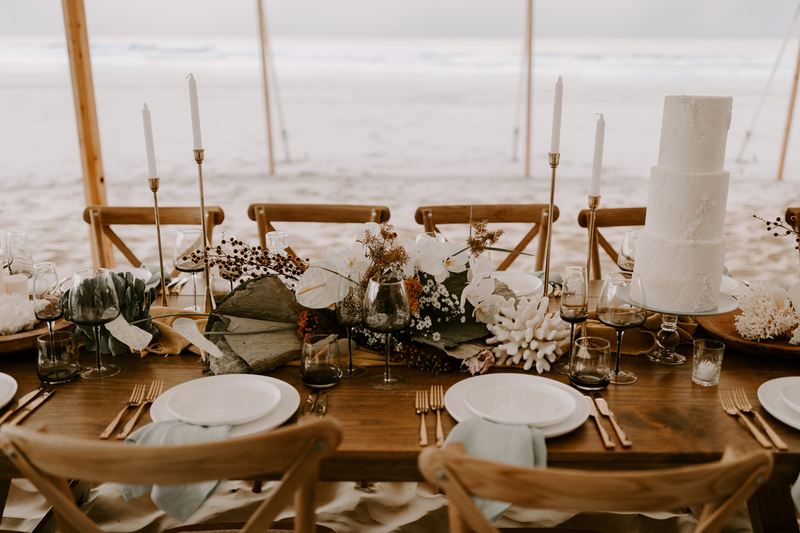 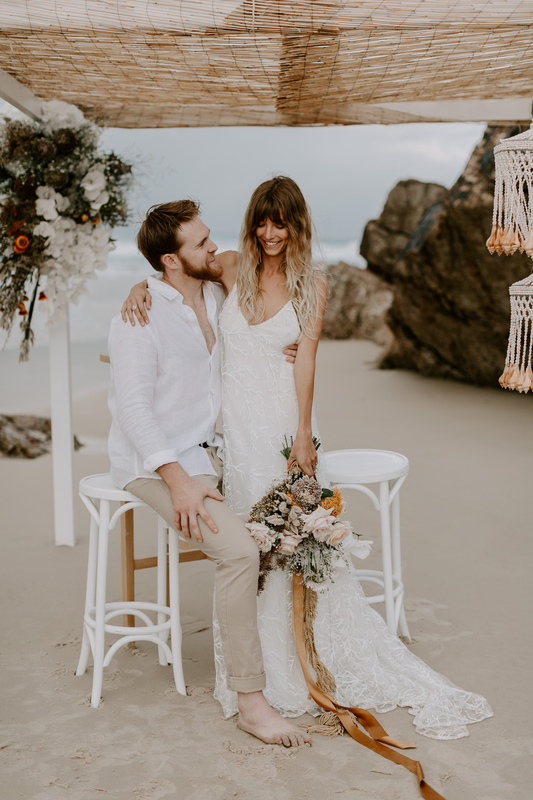 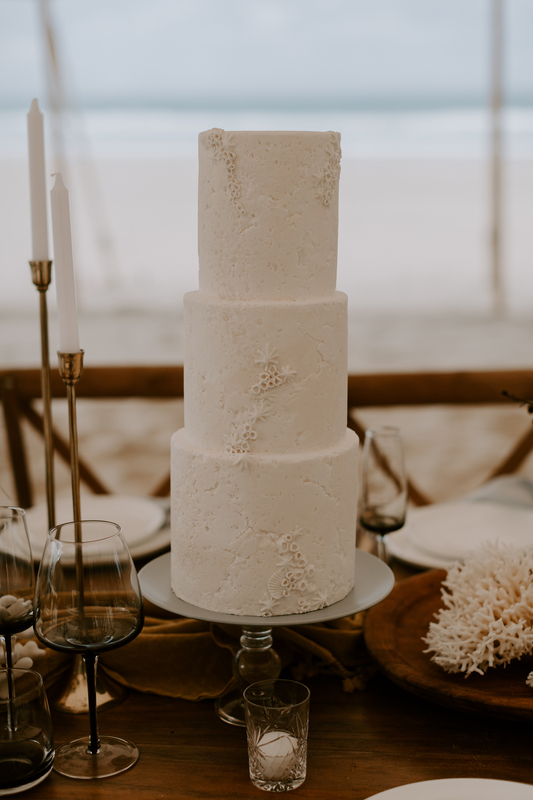 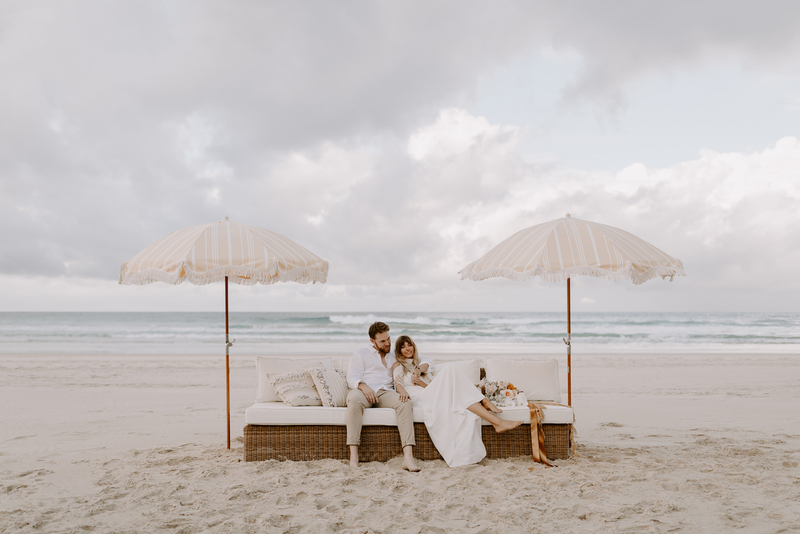 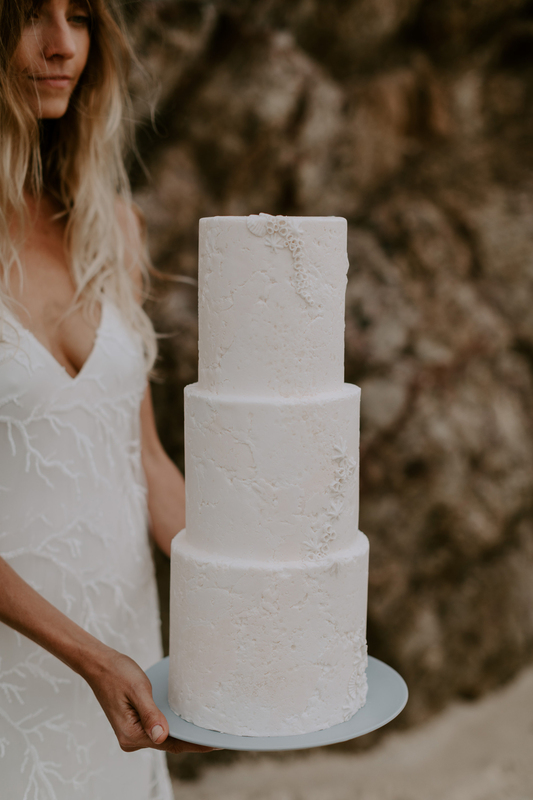 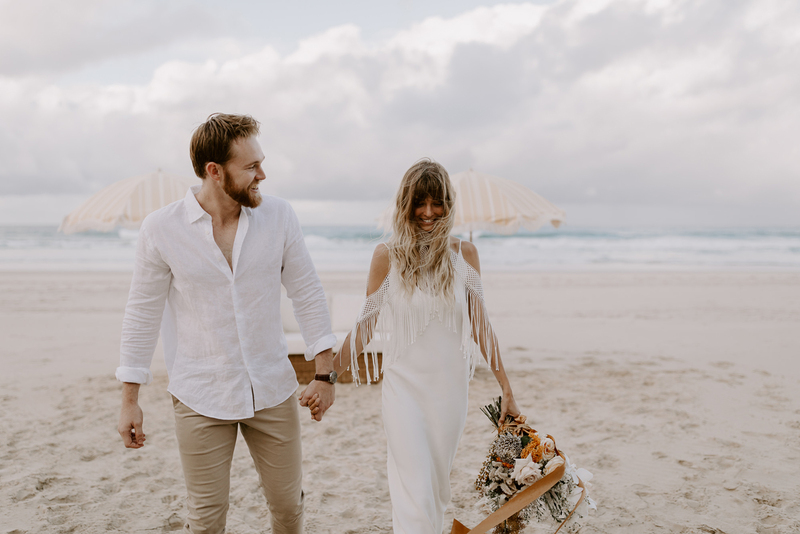 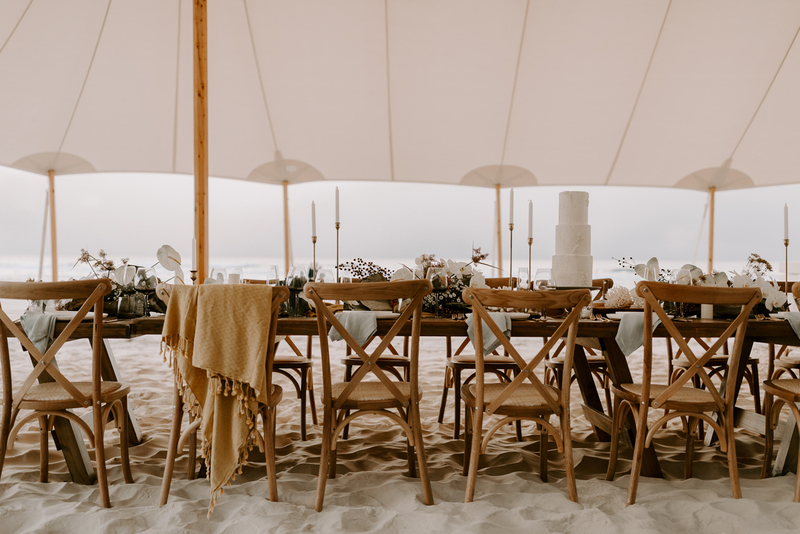 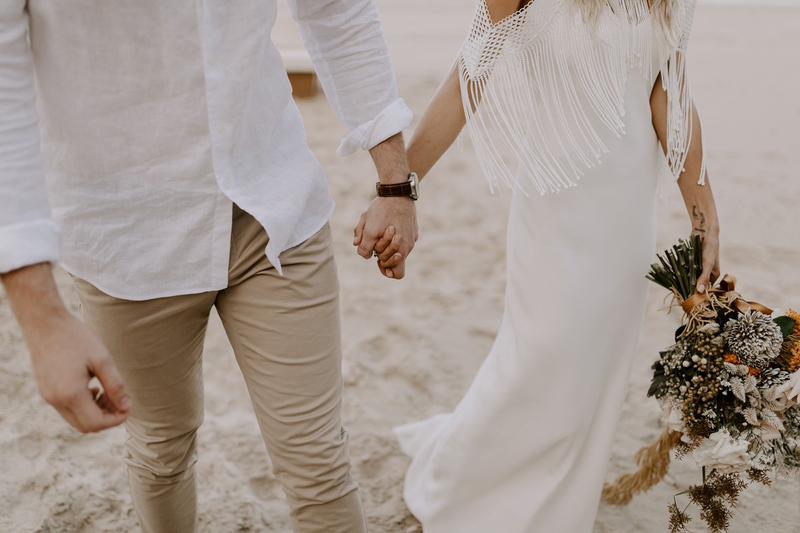 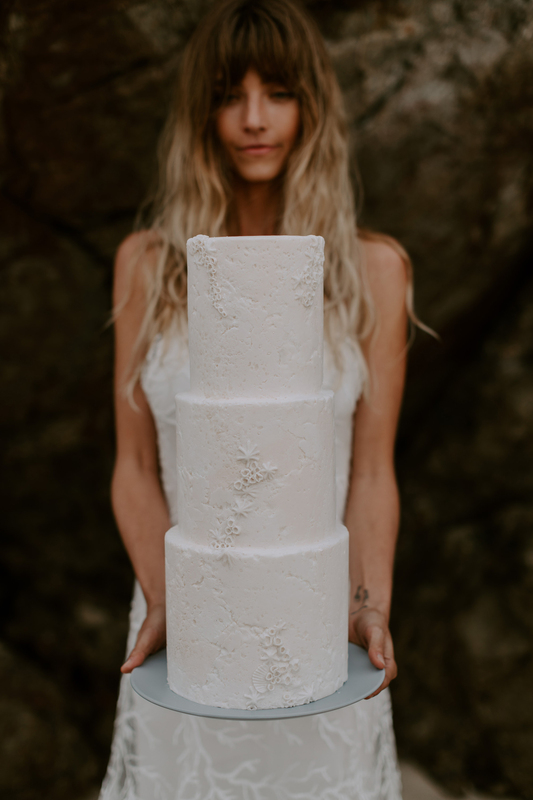 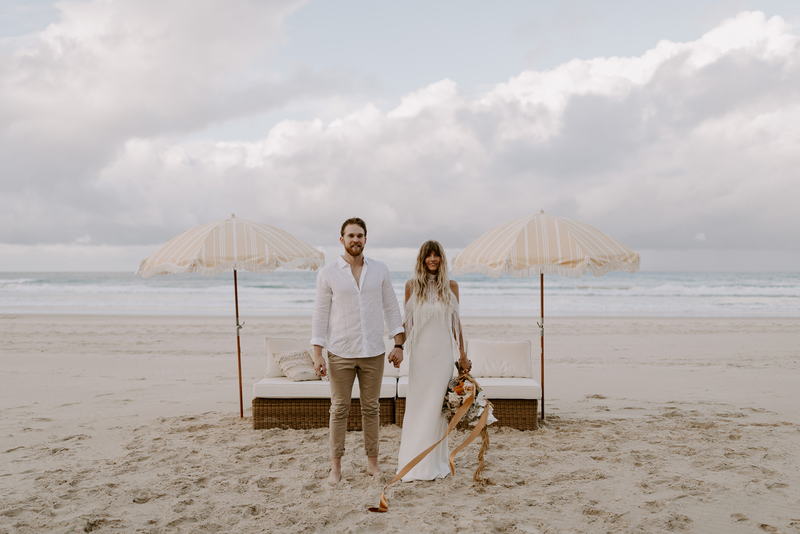 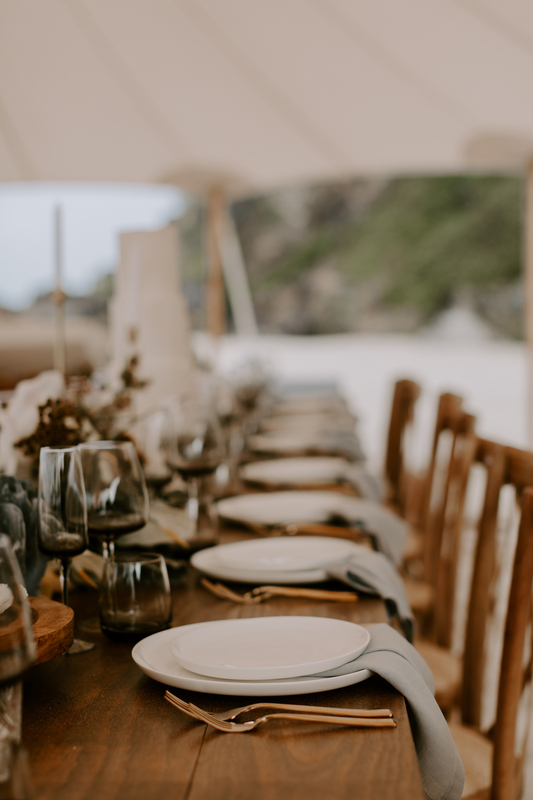 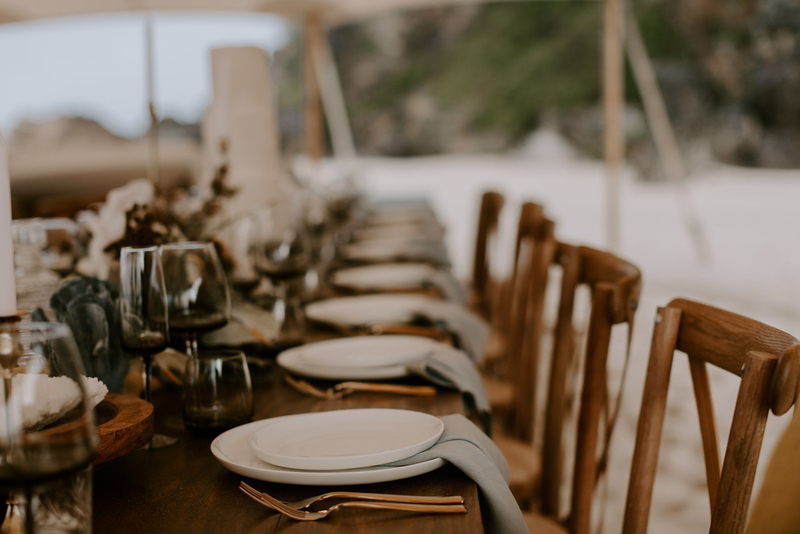 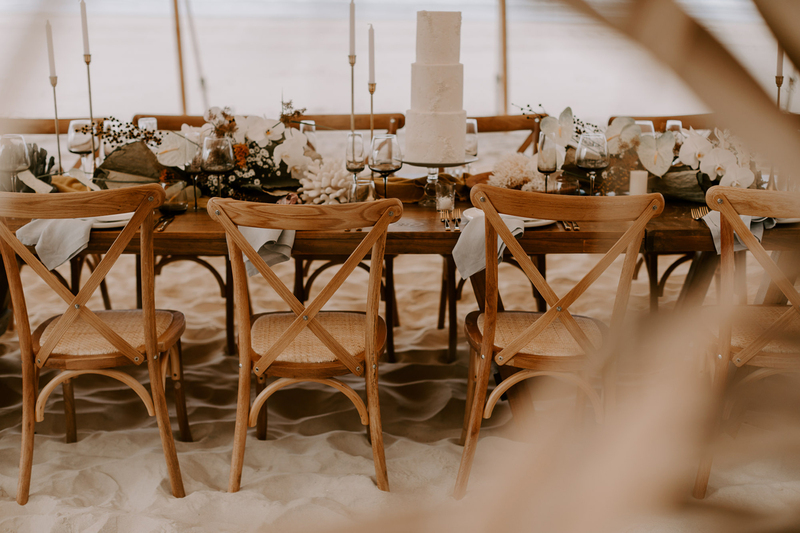 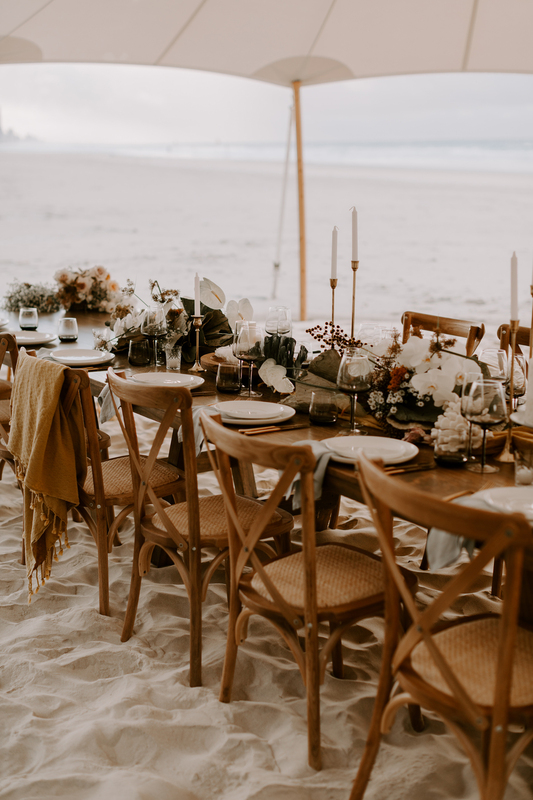 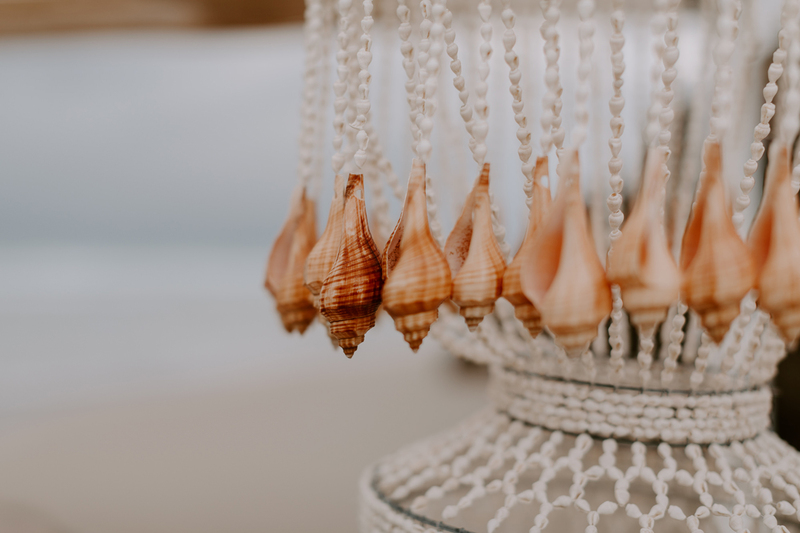 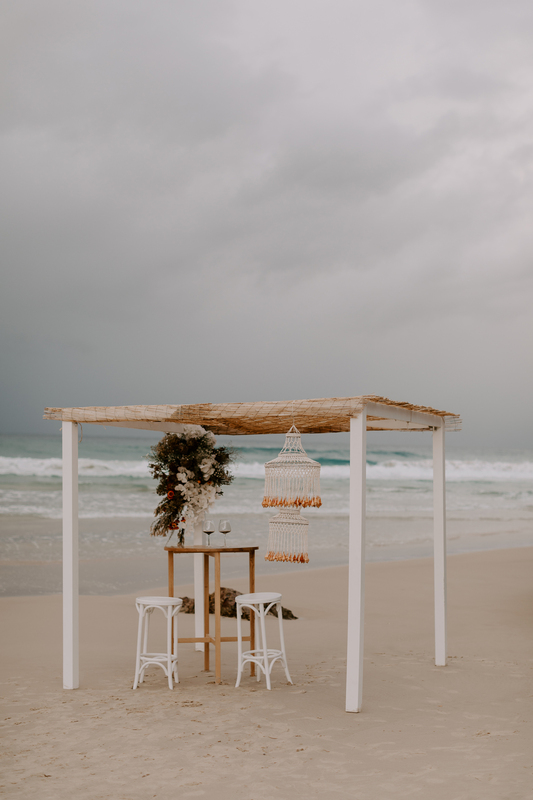 If you’re a wedding professional who services the Gold Coast who might be interested in joining our GC Hitched alliance (and participating in our next industry collaboration), get in touch today.